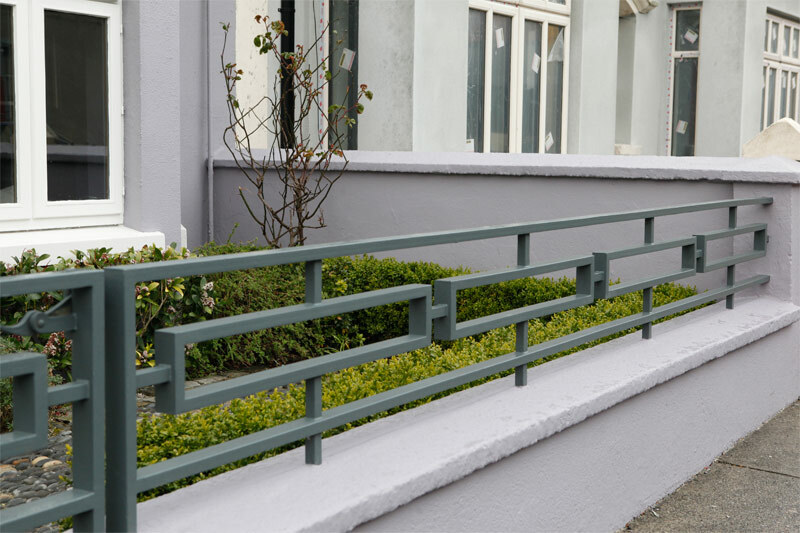 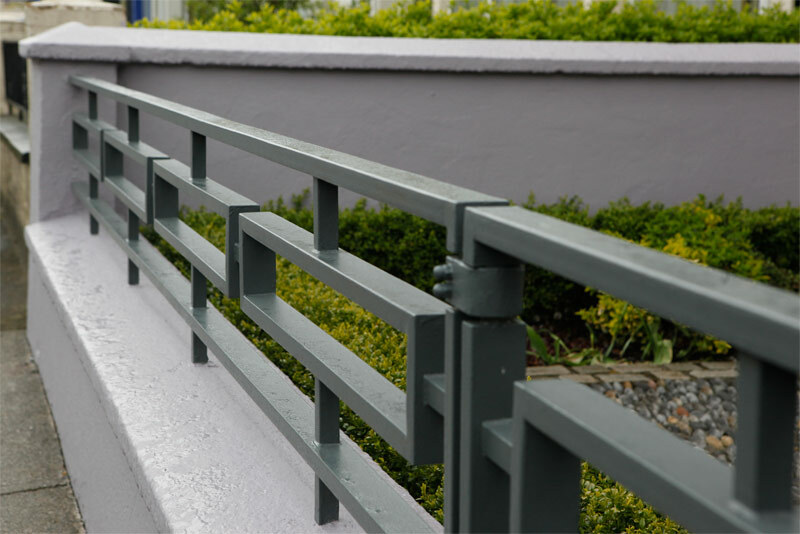 Retaining the timeless and elegant qualities of tradition, while utilising modern methods and design, Iron Excellence bridges the gap between art and utility. 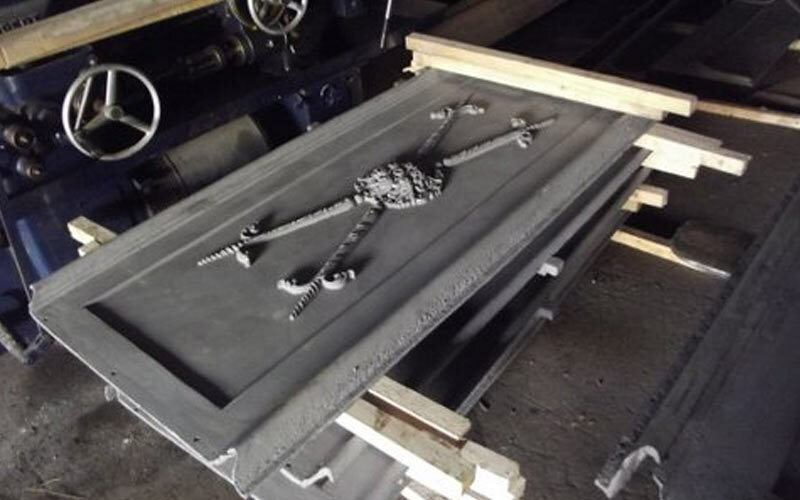 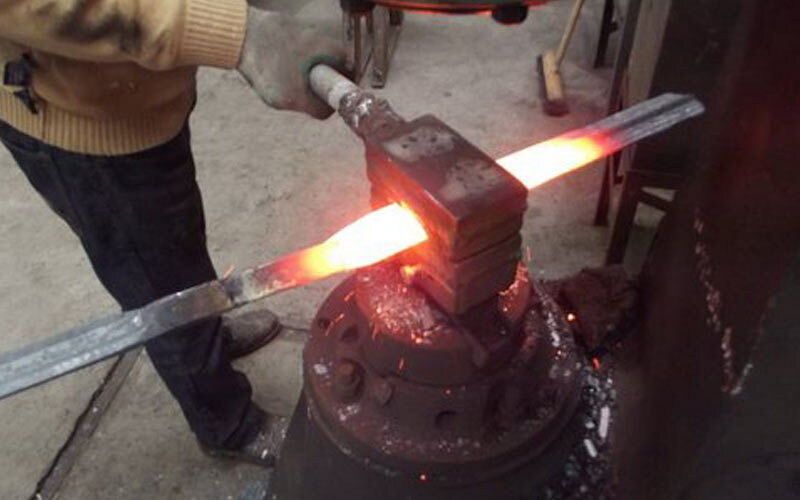 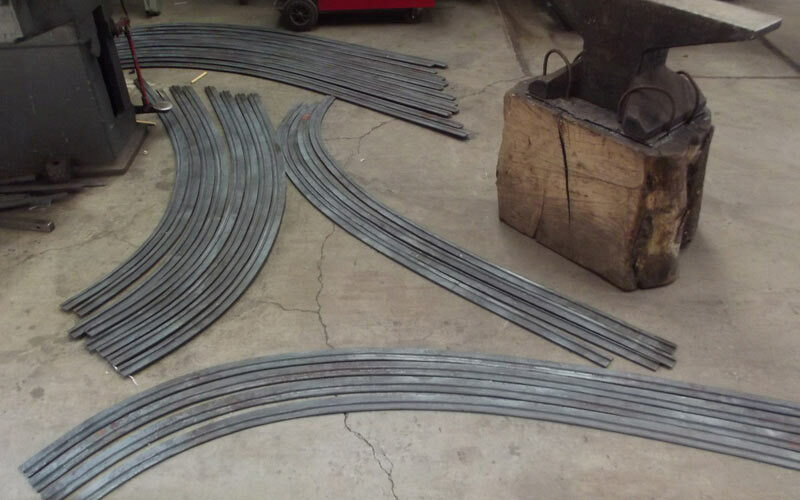 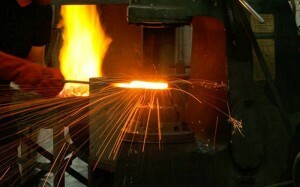 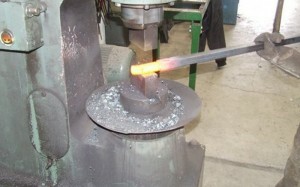 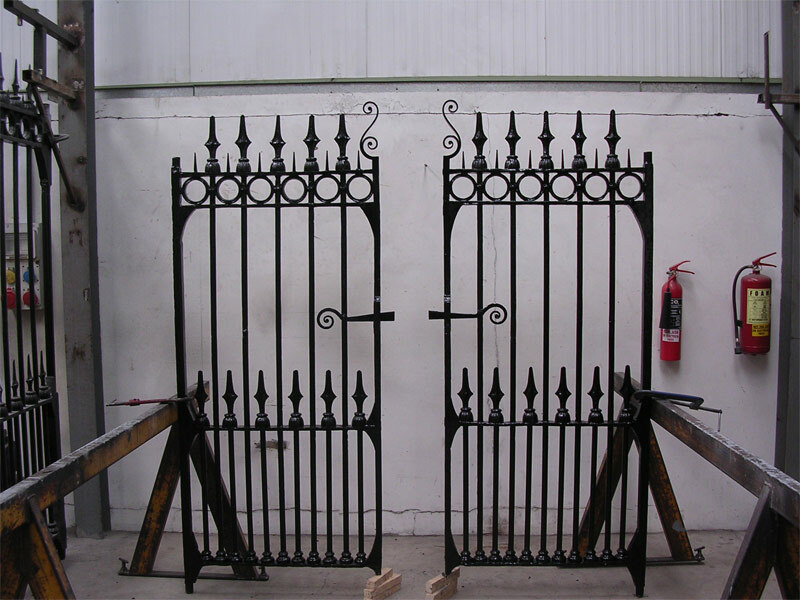 We supply a large variety of contemporary and traditional pieces in forged steel and other metals, from the ornamental and decorative, to the grand case. 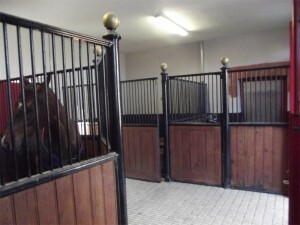 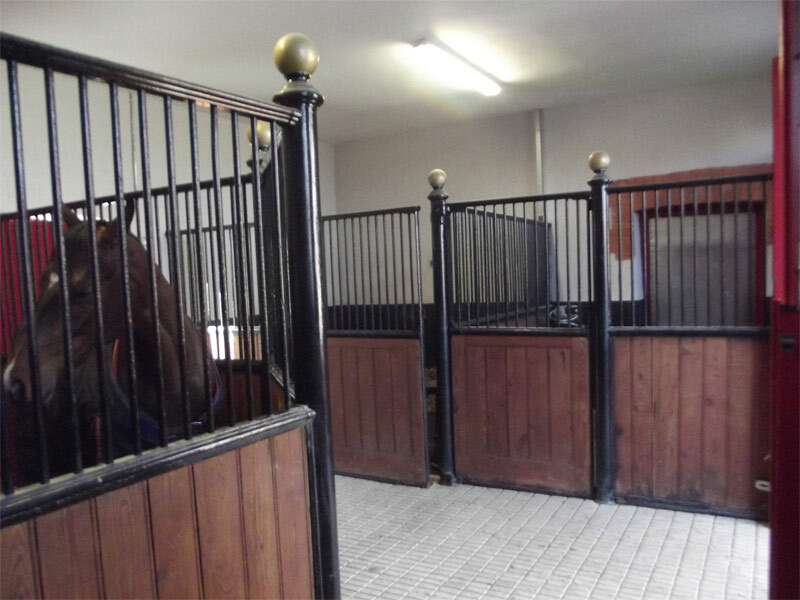 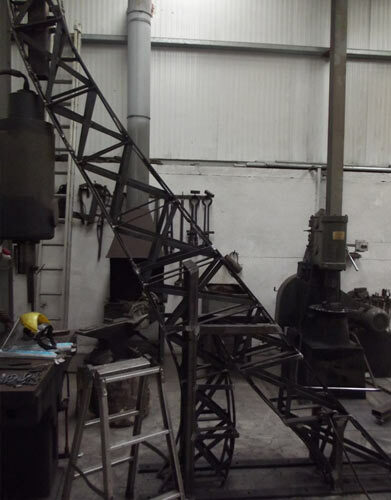 We are based in a large workshop that is well equipped to undertake large scale projects. 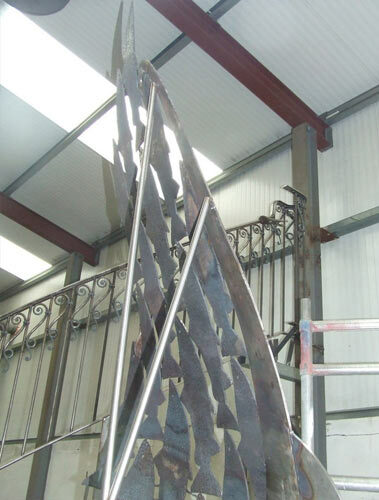 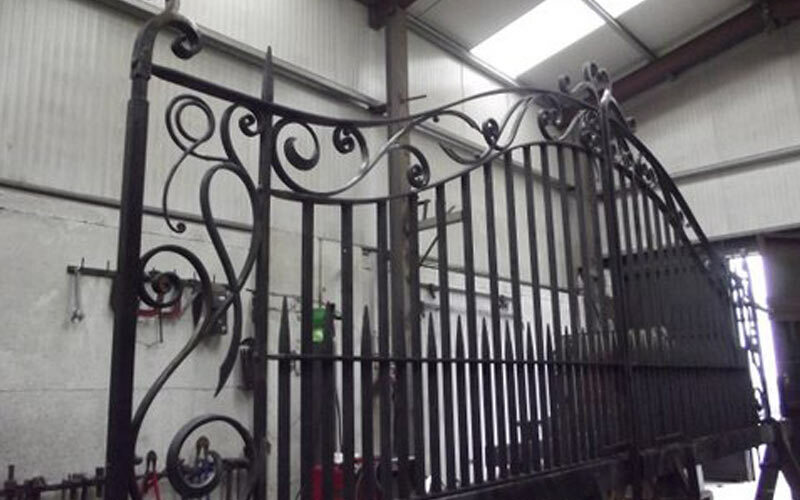 We use the skills of traditional forge work merged with modern design enabling us to create bespoke architectural ironwork. 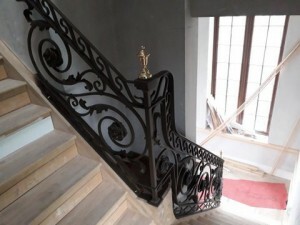 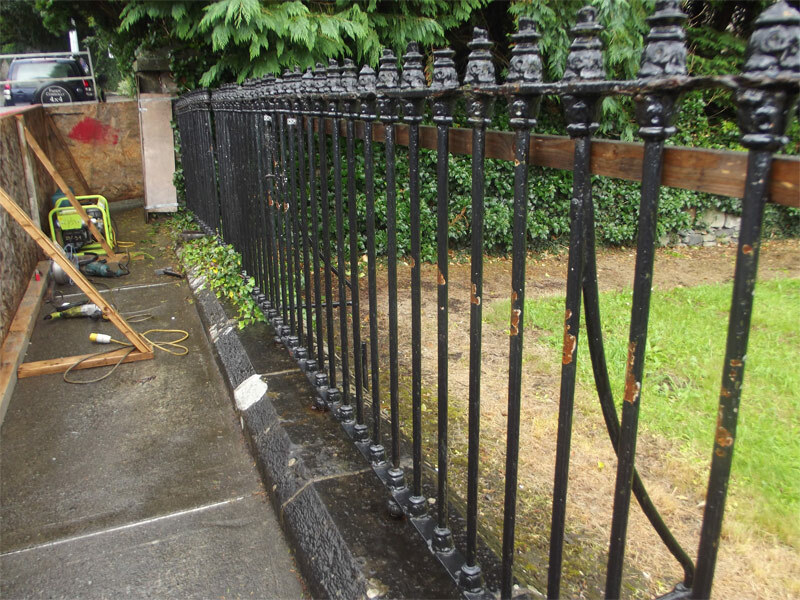 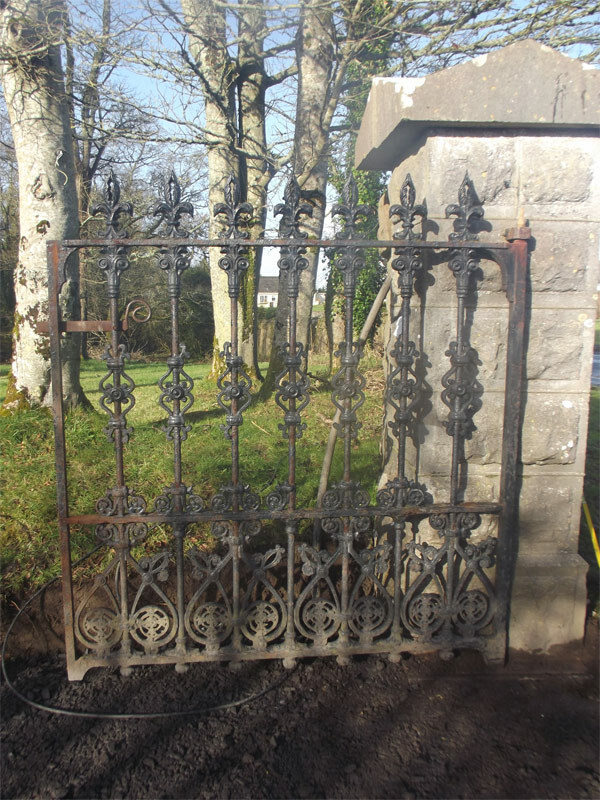 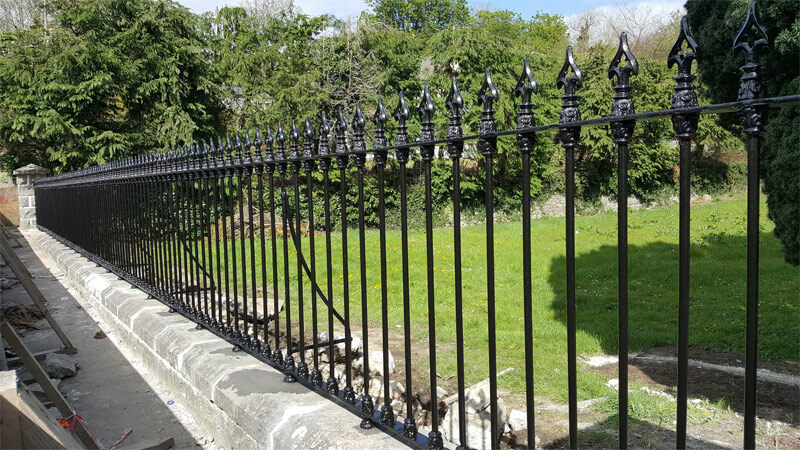 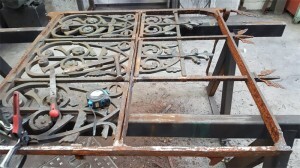 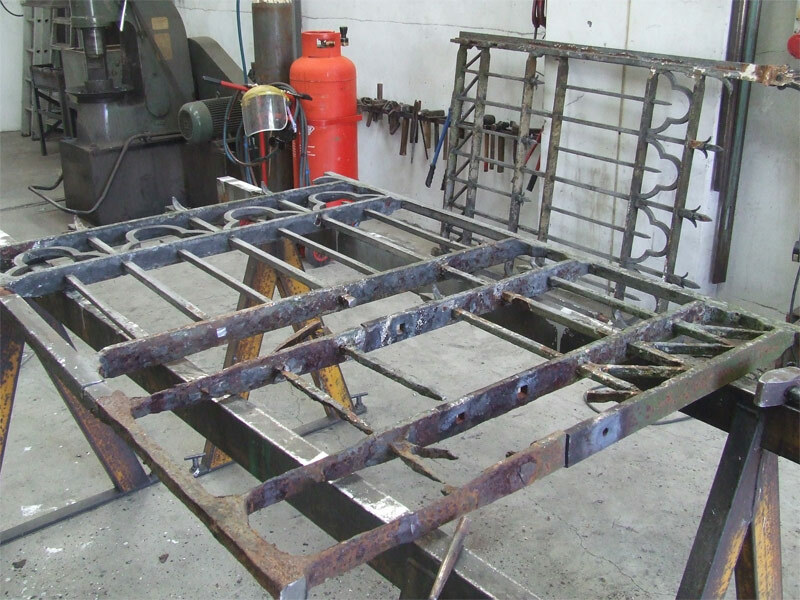 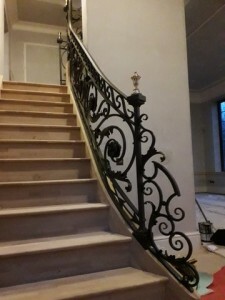 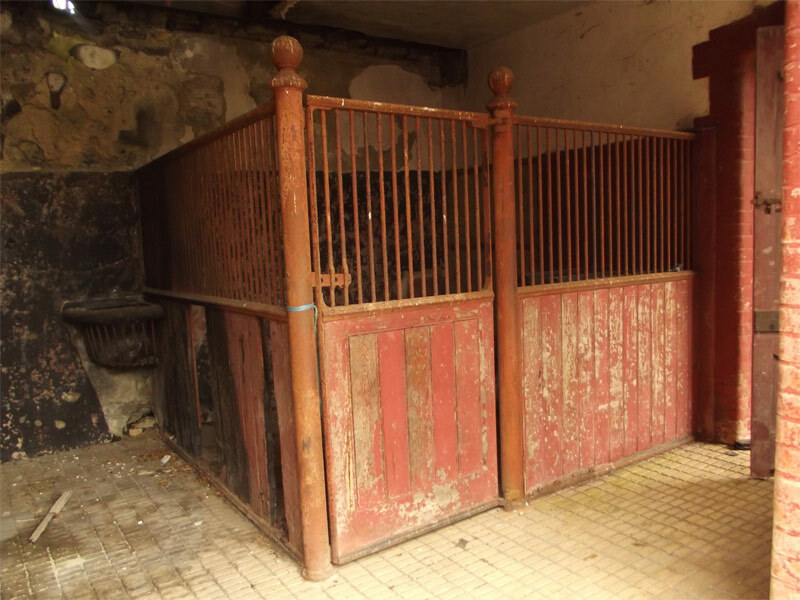 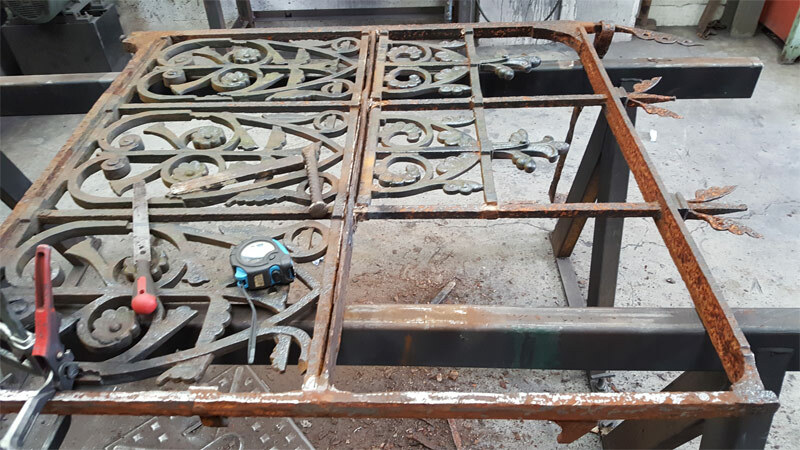 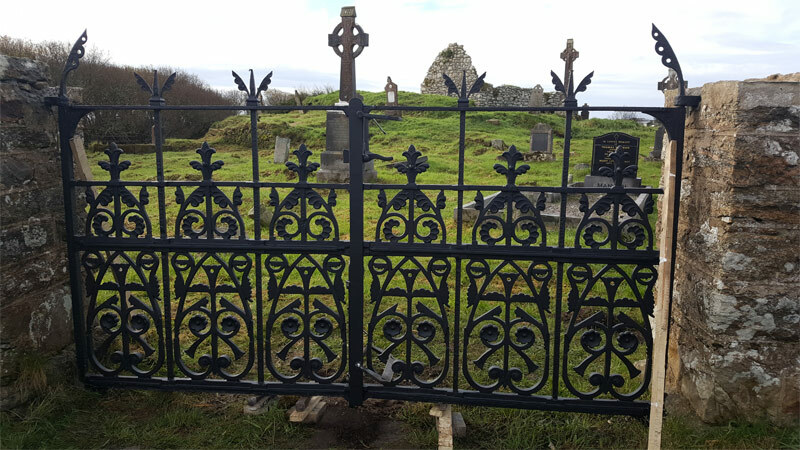 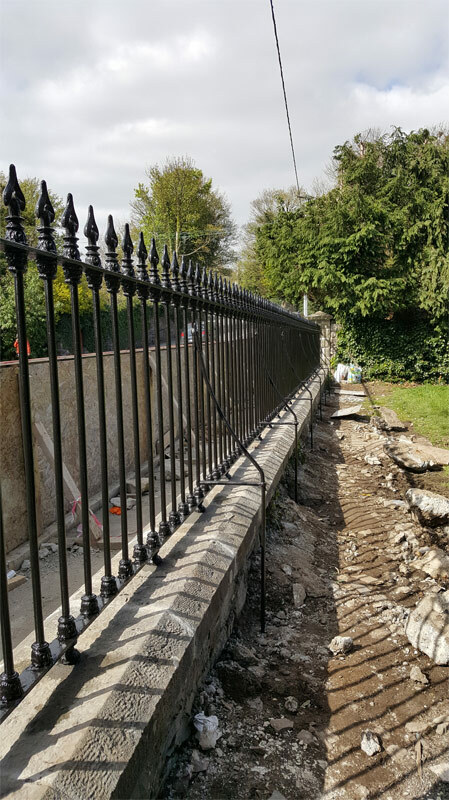 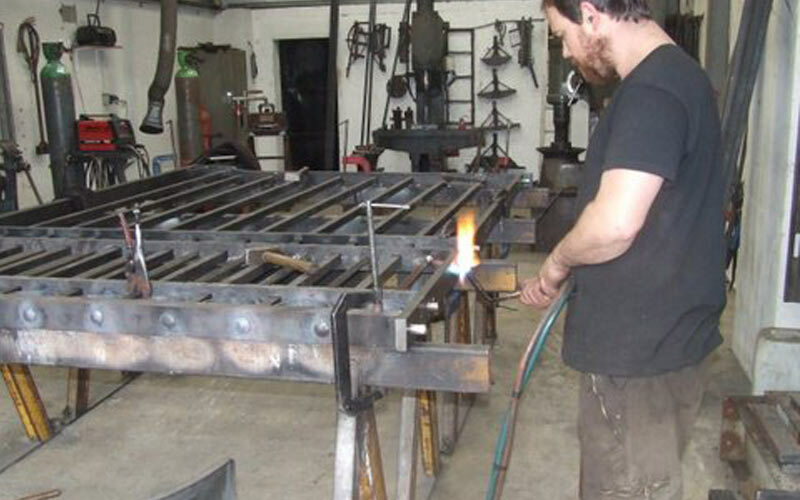 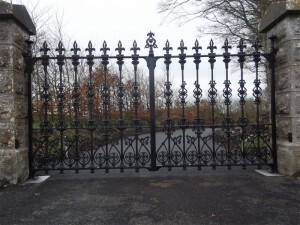 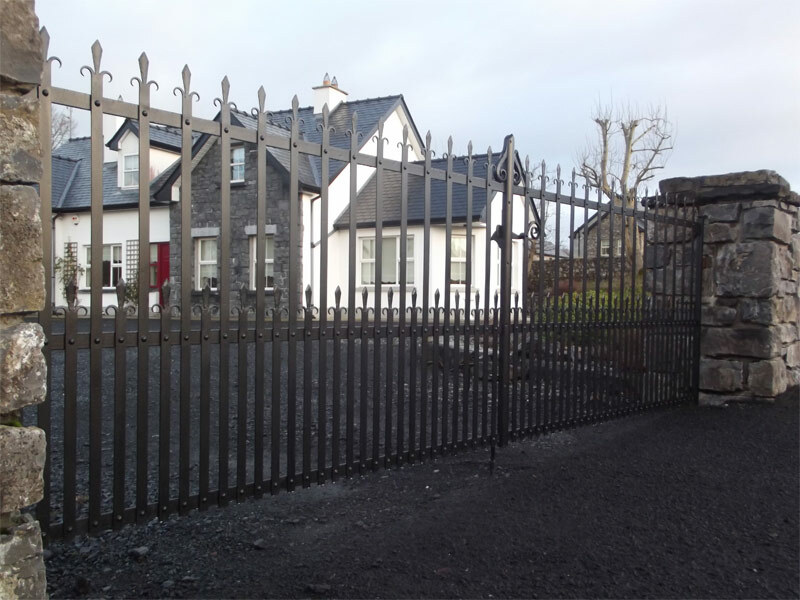 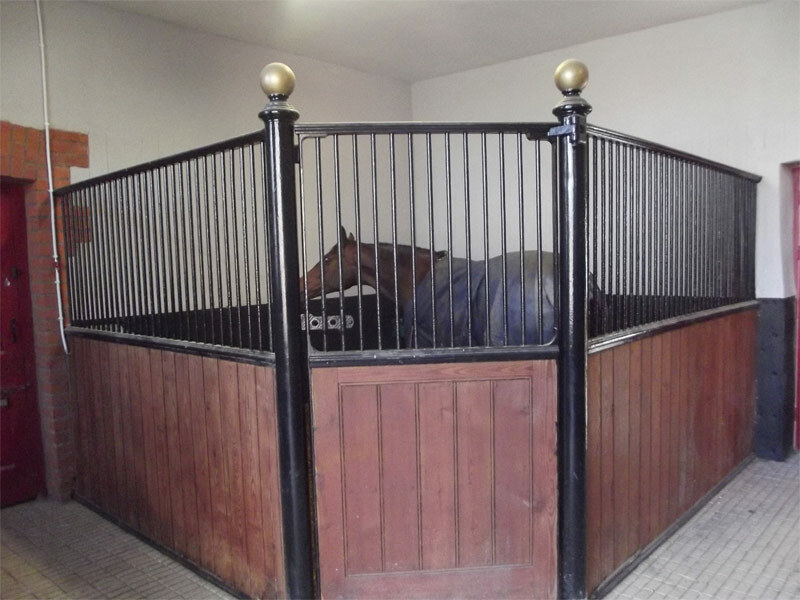 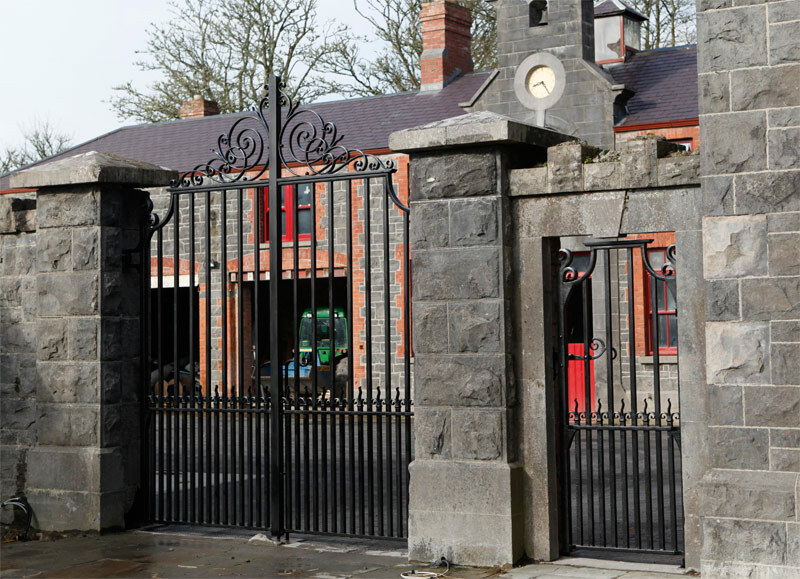 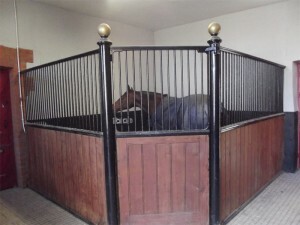 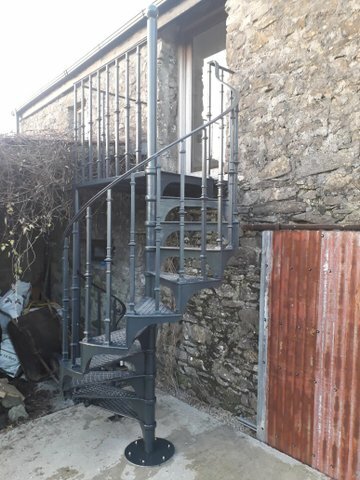 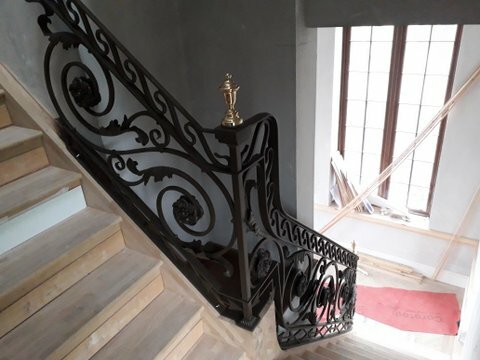 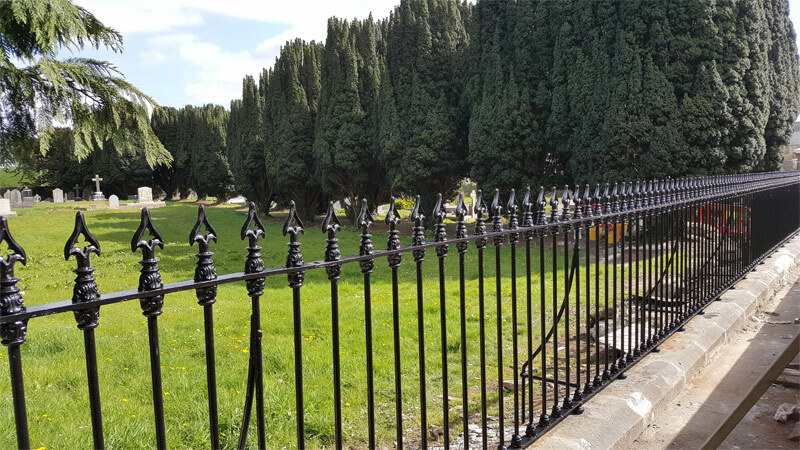 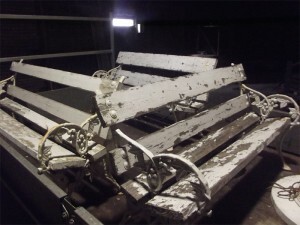 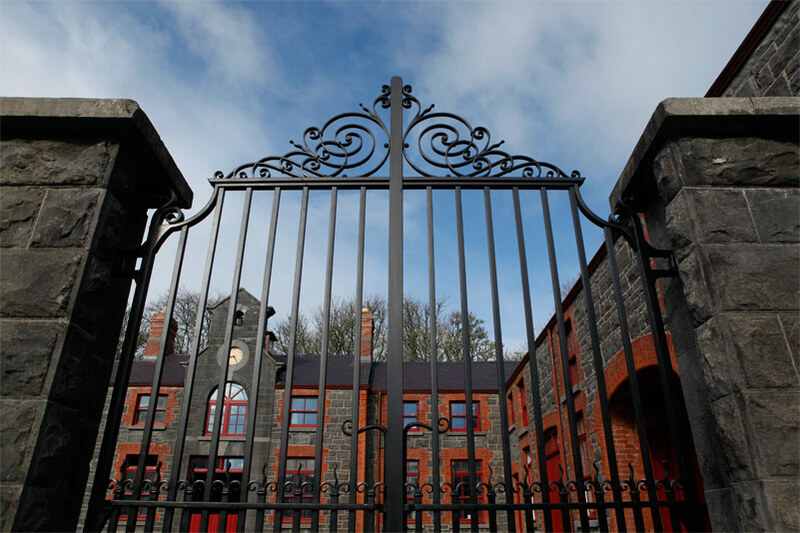 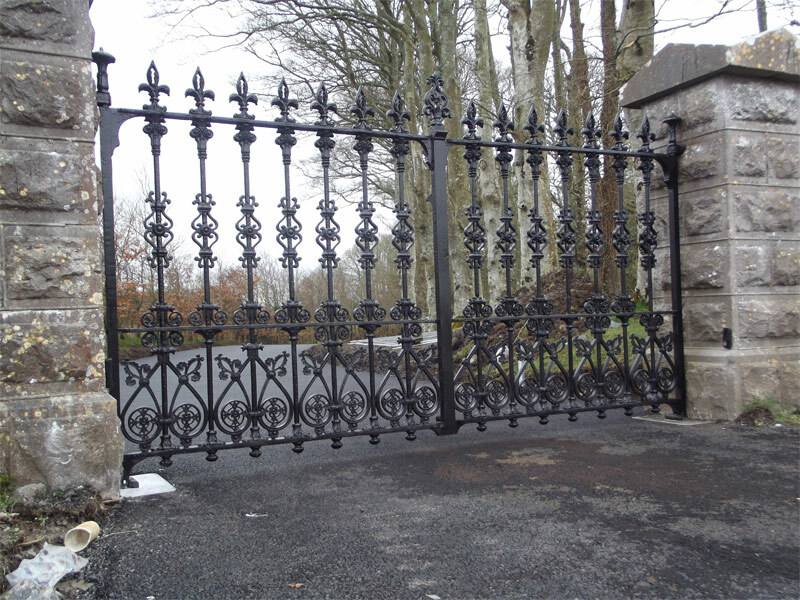 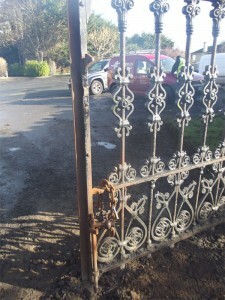 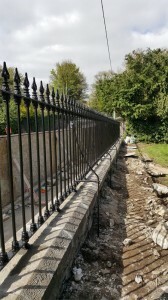 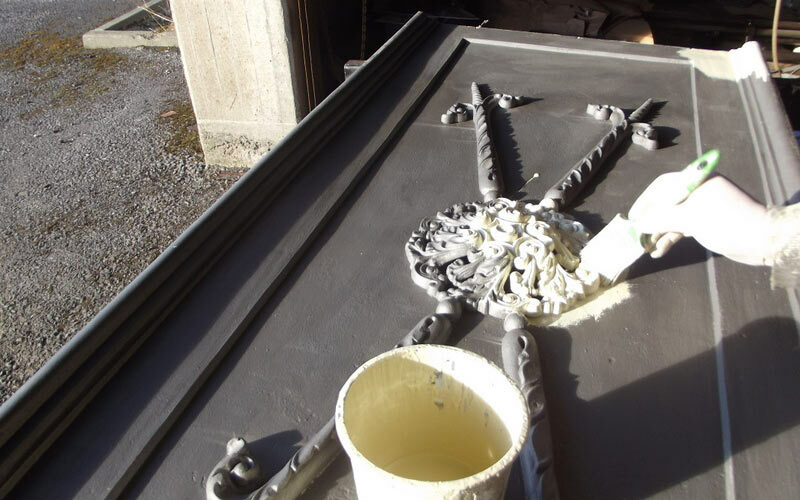 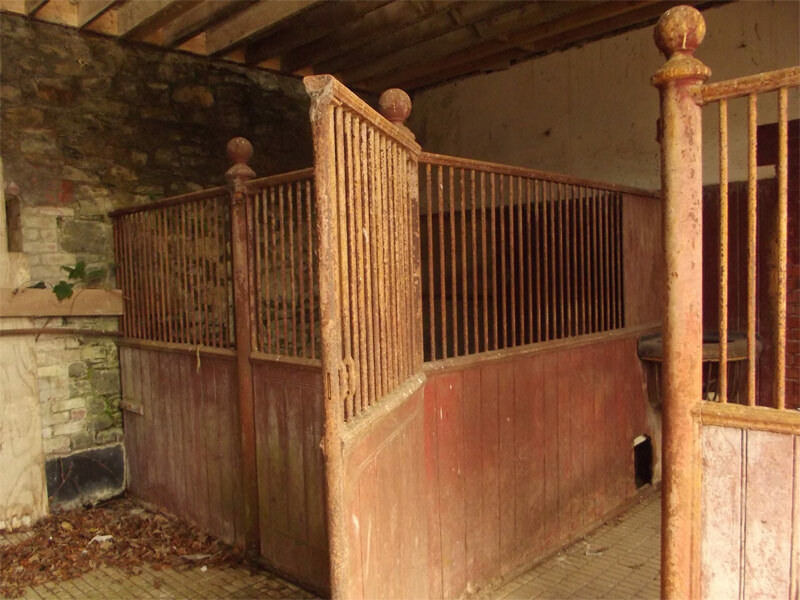 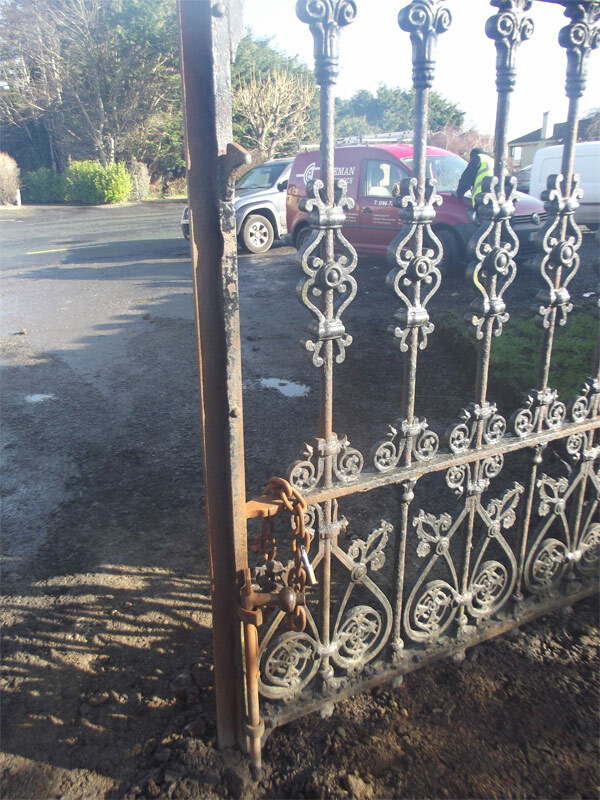 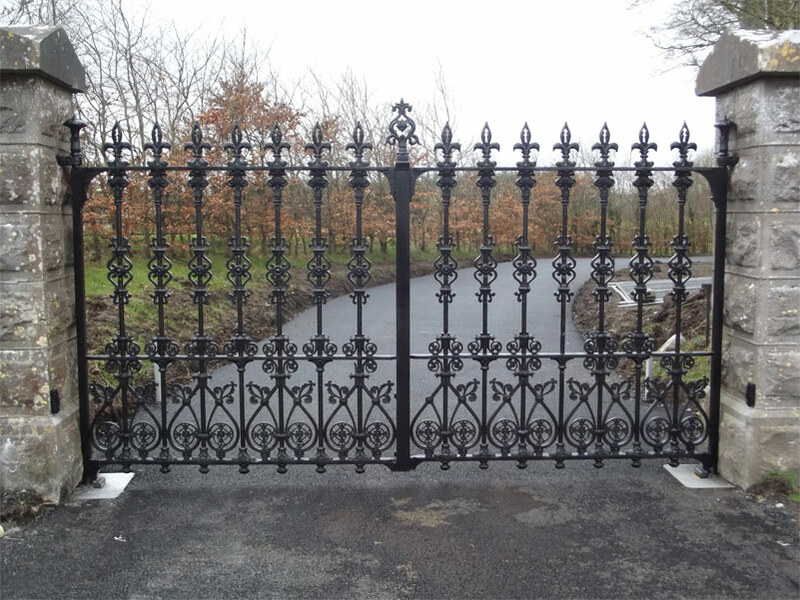 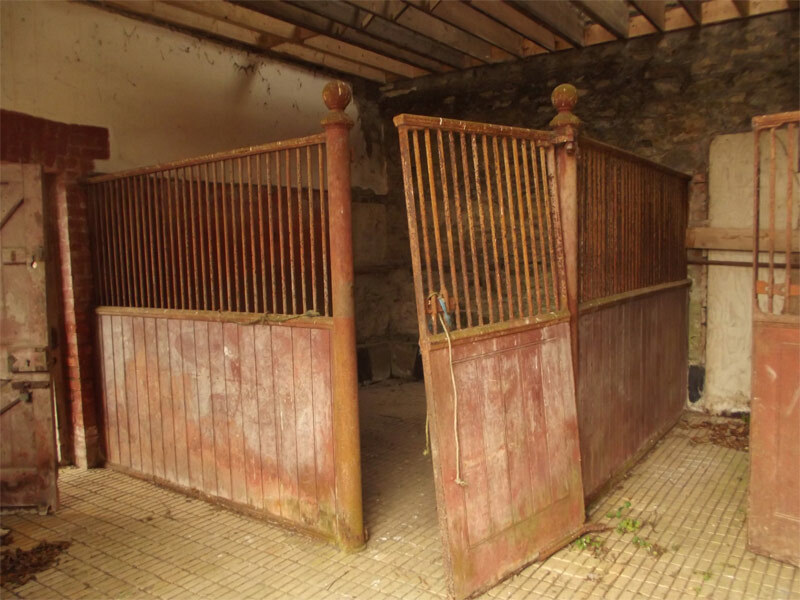 Iron Excellence also undertakes many restoration projects and have shot blasting facilities for cleaning, plus the traditional skills to carefully and sympathetically restore our heritage ironwork. 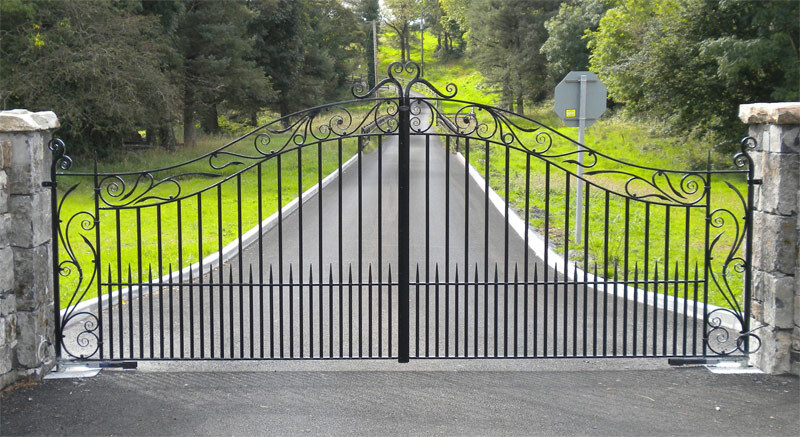 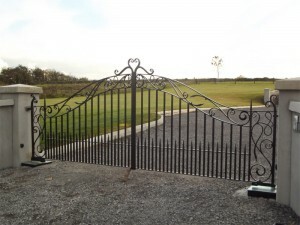 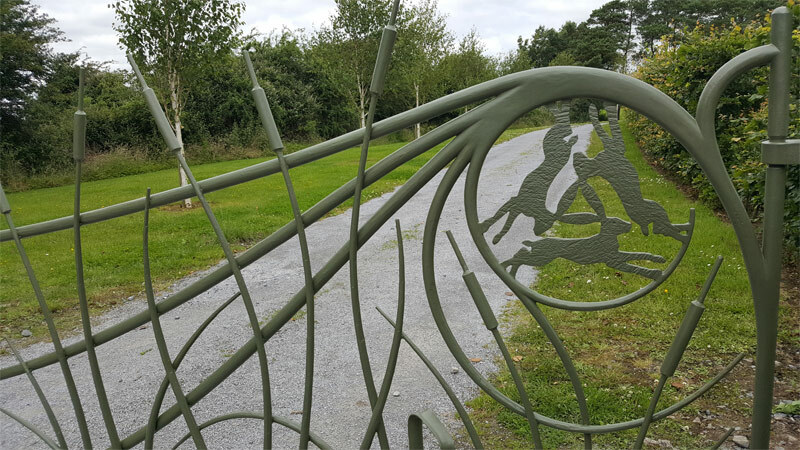 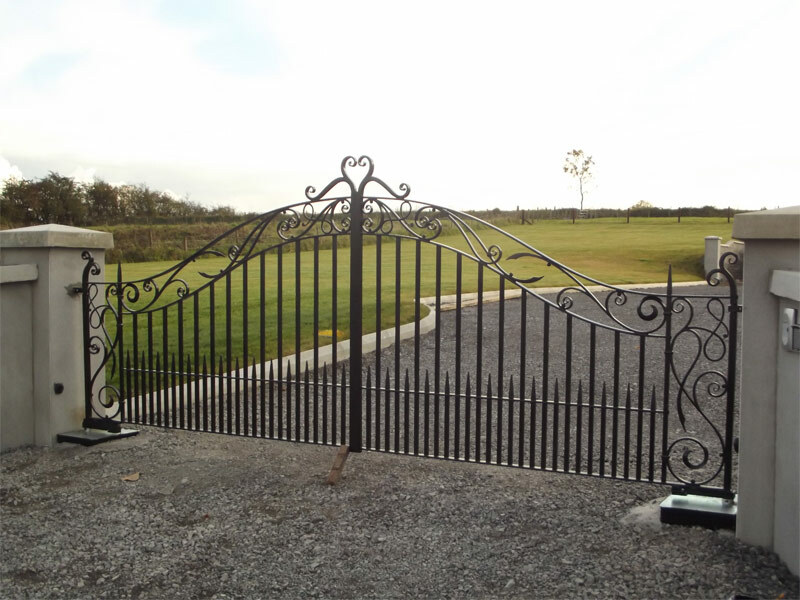 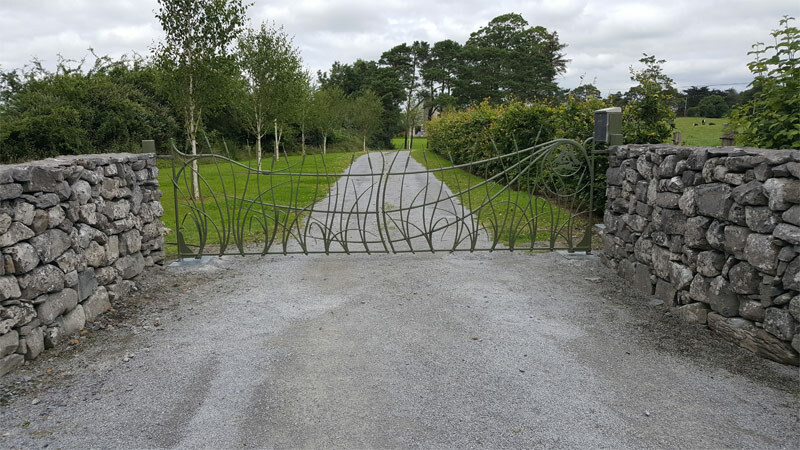 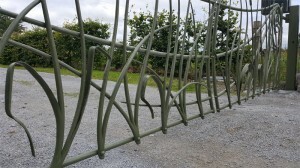 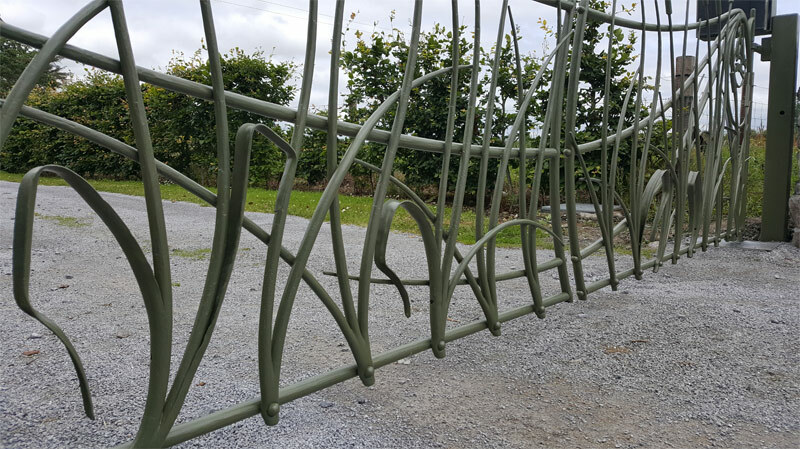 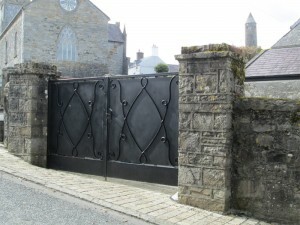 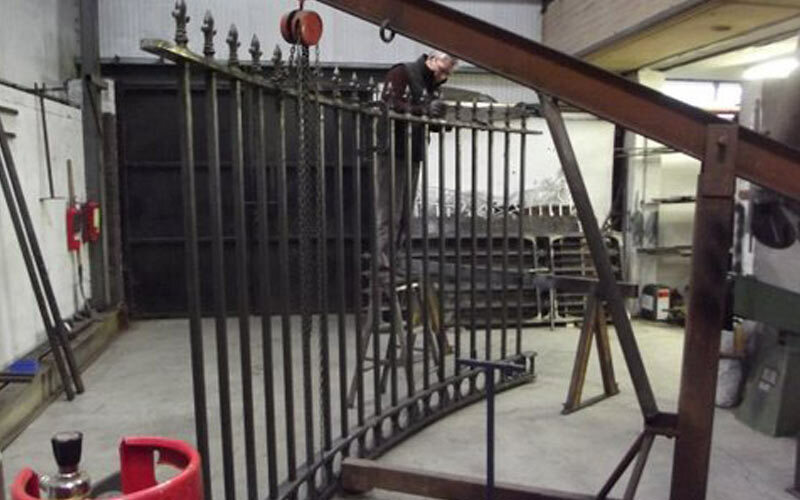 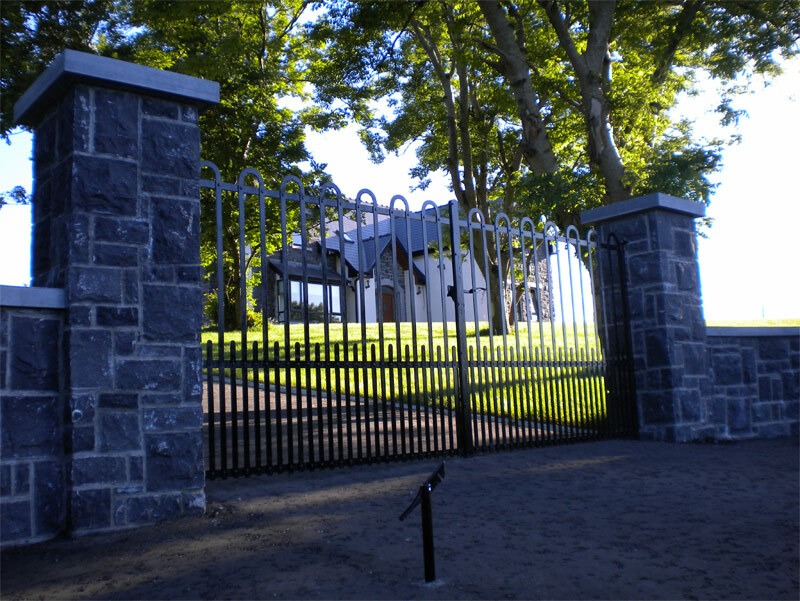 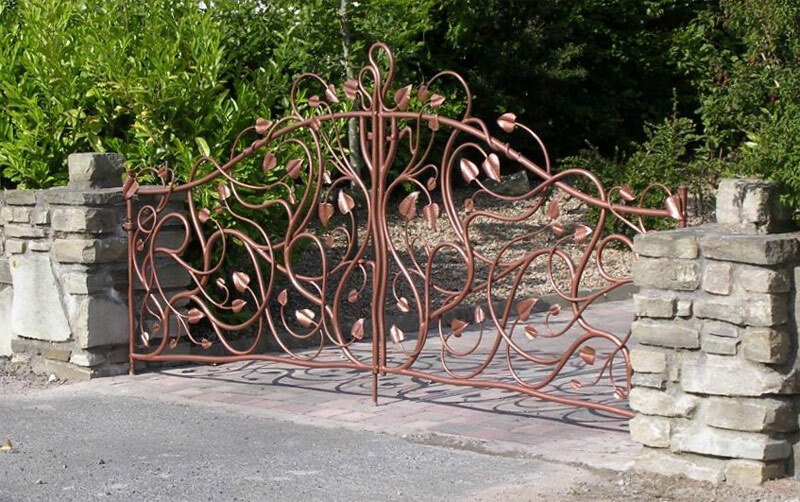 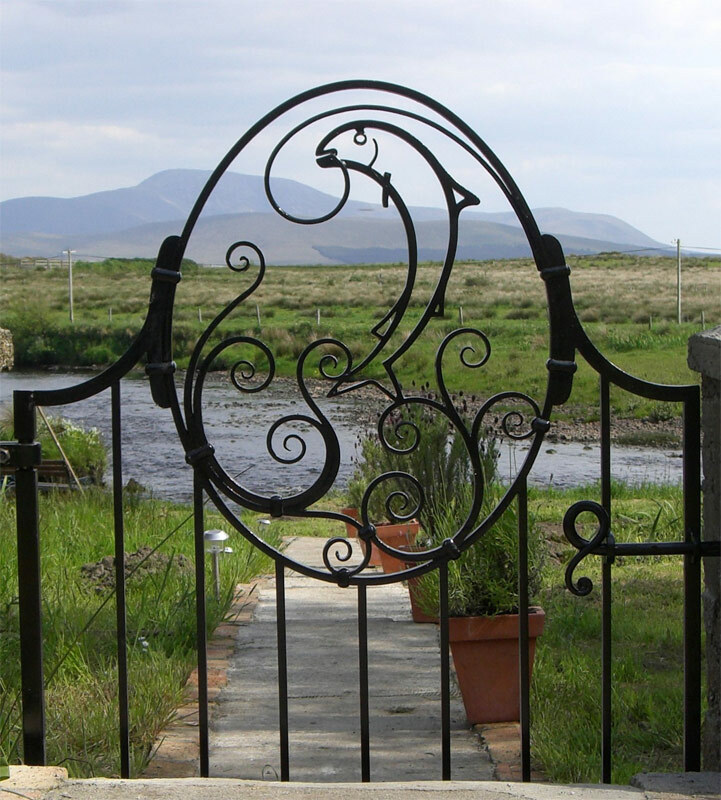 Bespoke hand forged gates in designs from the traditional to the contemporary, from the small to the grand and crafted to the highest standard. 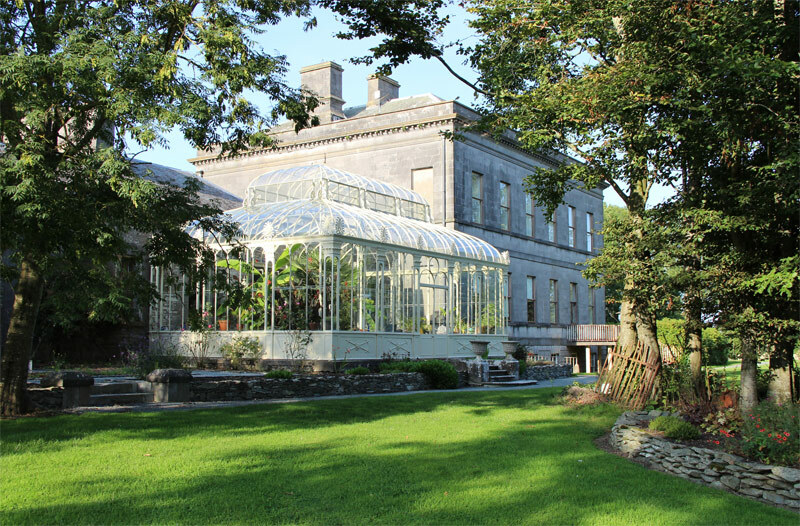 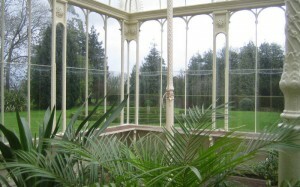 The Turner Conservatory at Rokeby Hall dates back to 1850. 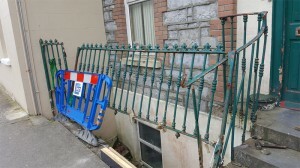 It had suffered much deterioration which had greatly accelerated since the winter of 2010/2011. 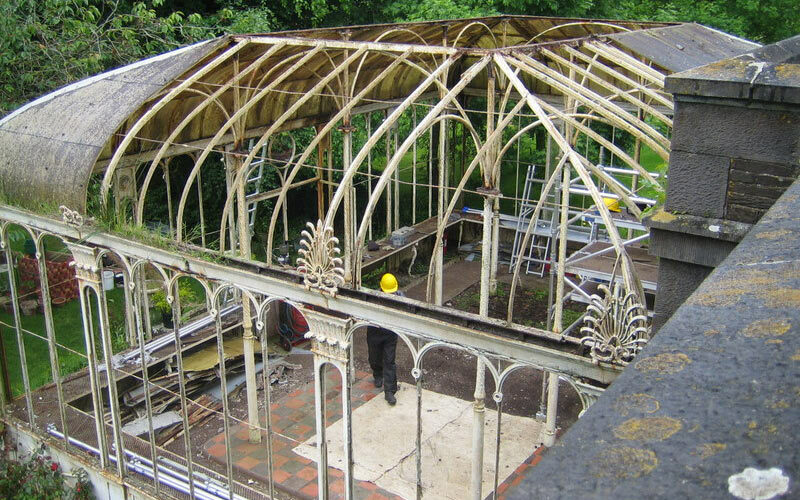 The original upper level curved roof was missing and had been replaced (circa 1955) by a rough triangular structure. 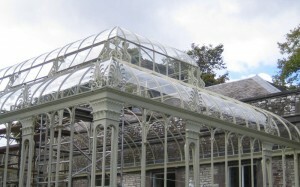 The original glass had been replaced by a fibreglass covering on the roof and Perspex panels on the walls. 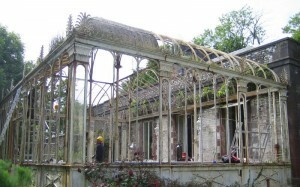 The front wall of the conservatory was in danger of collapsing. 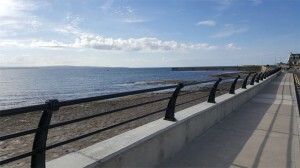 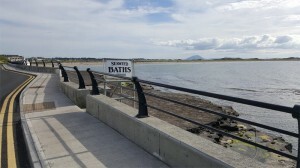 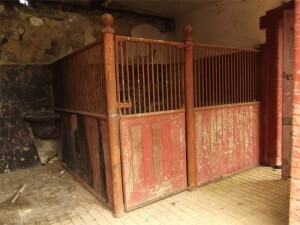 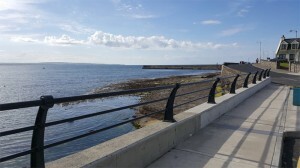 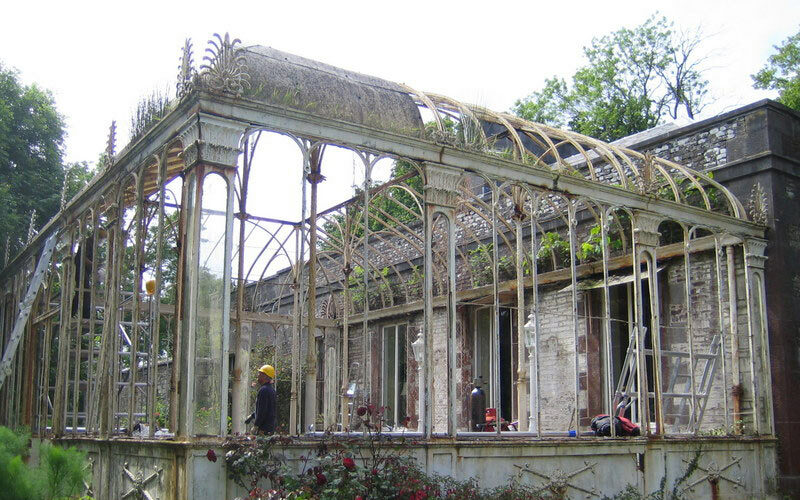 Restoration work was carried out over an 18 month period starting in June 2012 and ending November 2013. 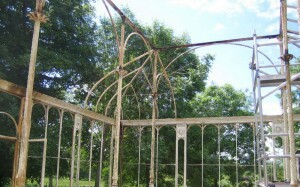 The entire structure was carefully mapped. 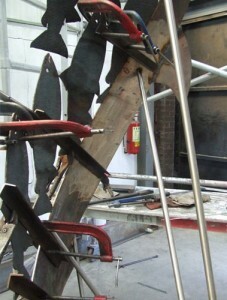 Each component was tagged and photographed. 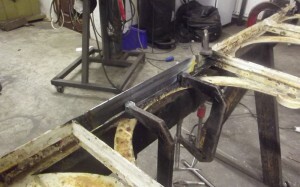 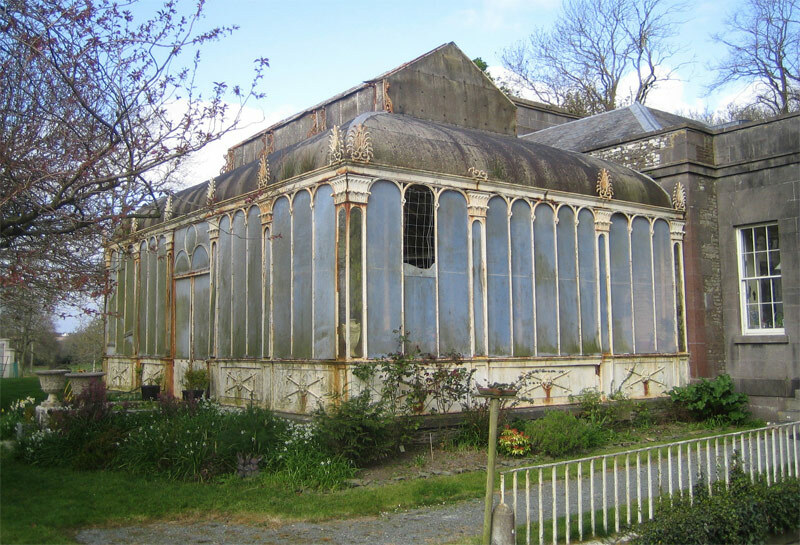 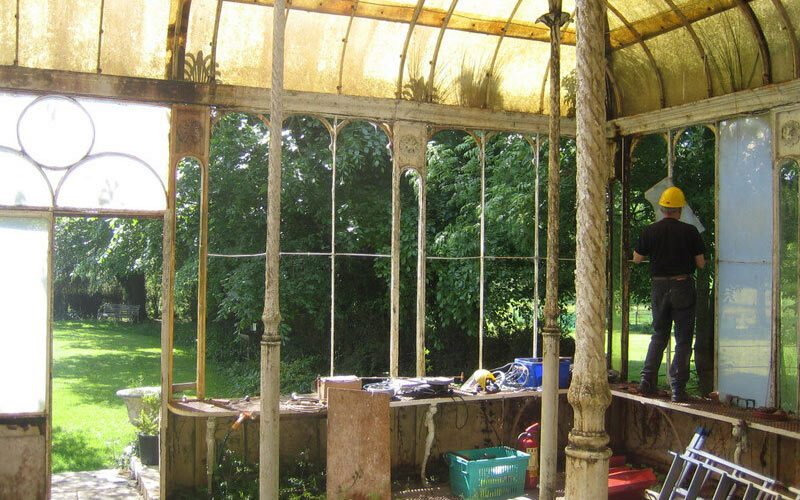 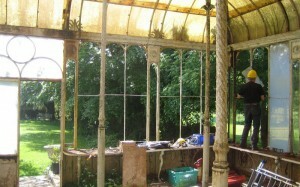 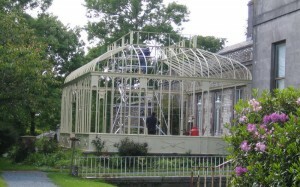 The Conservatory was then completely dismantled and the components removed to the workshop. 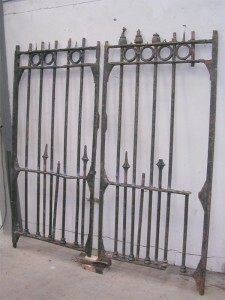 Wrought iron components, many of them severely rusted, were restored using recycled wrought iron. 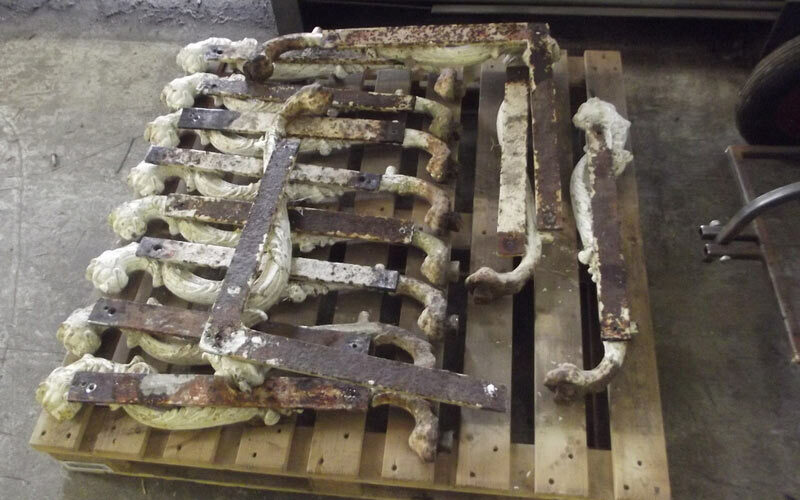 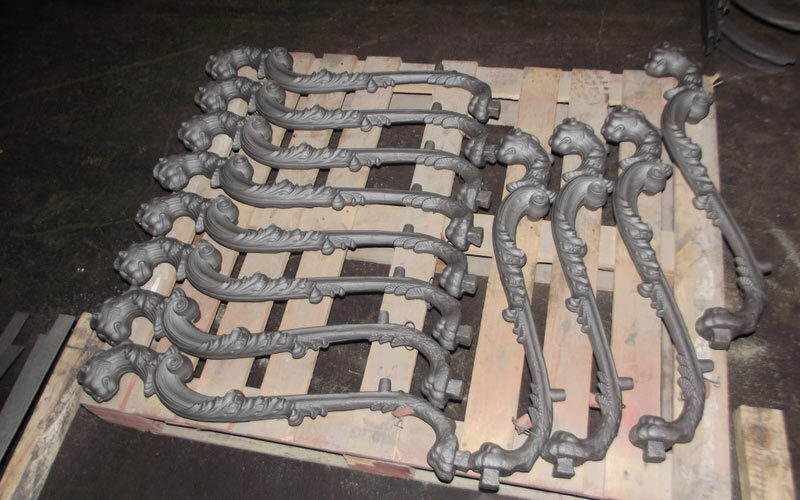 Cast iron elements which were broken or missing were re-cast. The upper section of the roof which had been missing for an unknown period and for which there was no record was designed and rebuilt using other Turner Conservatories as reference models. 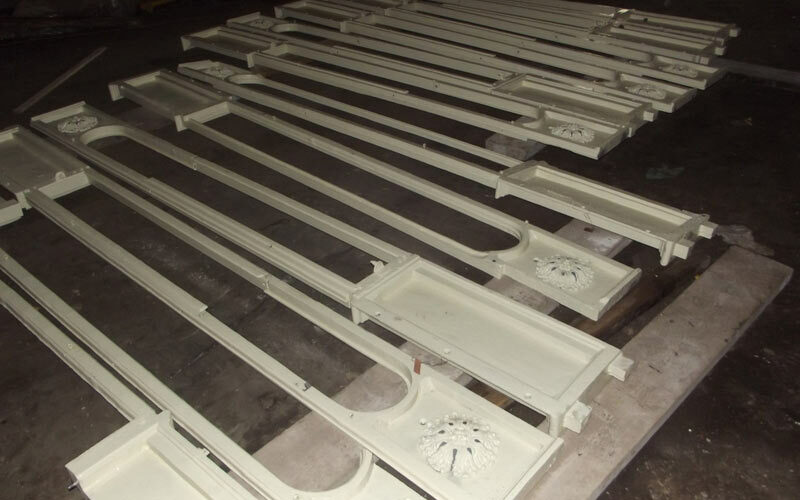 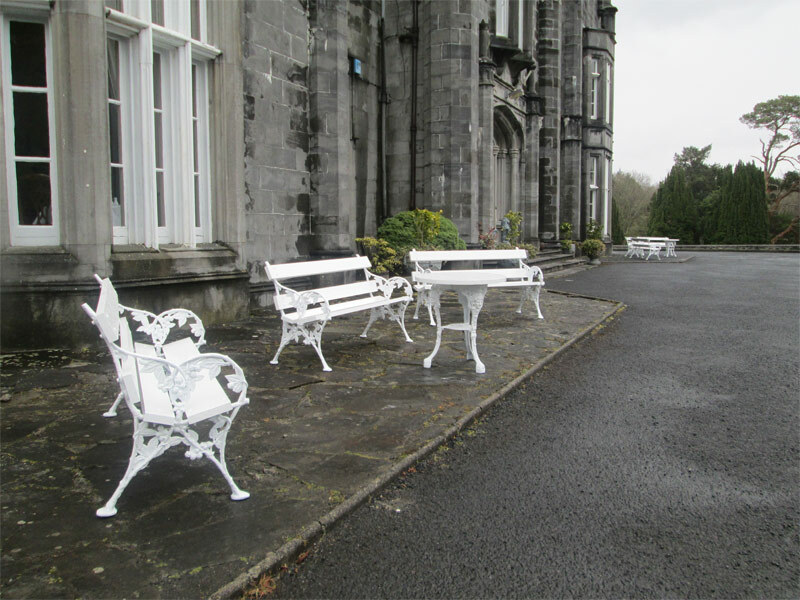 The many components were then cleaned and painted with zinc rich paints and finished with a Turner white topcoat. 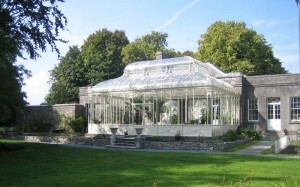 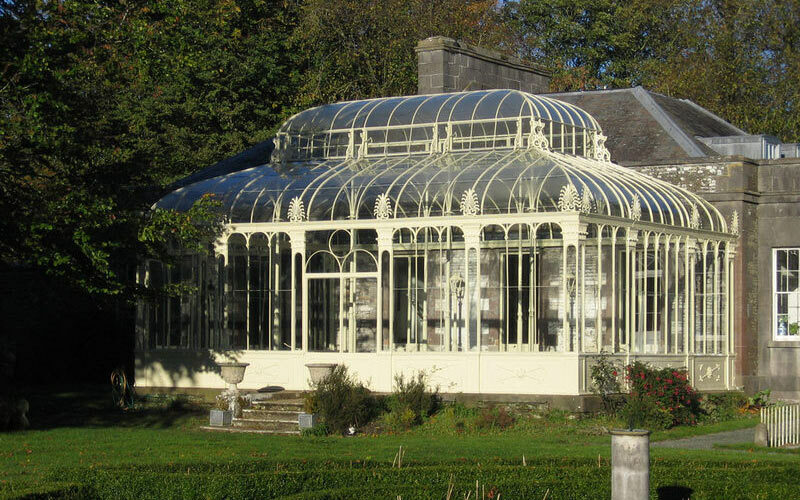 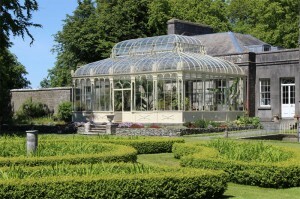 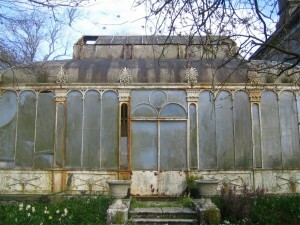 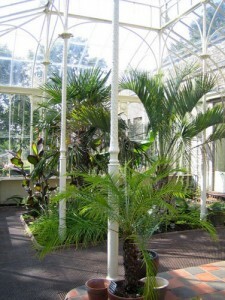 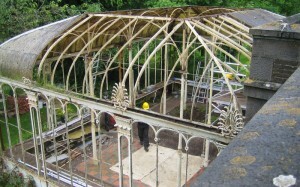 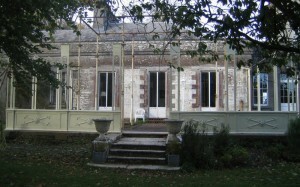 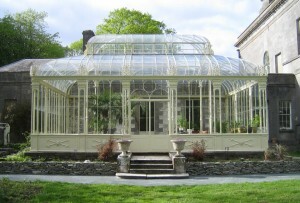 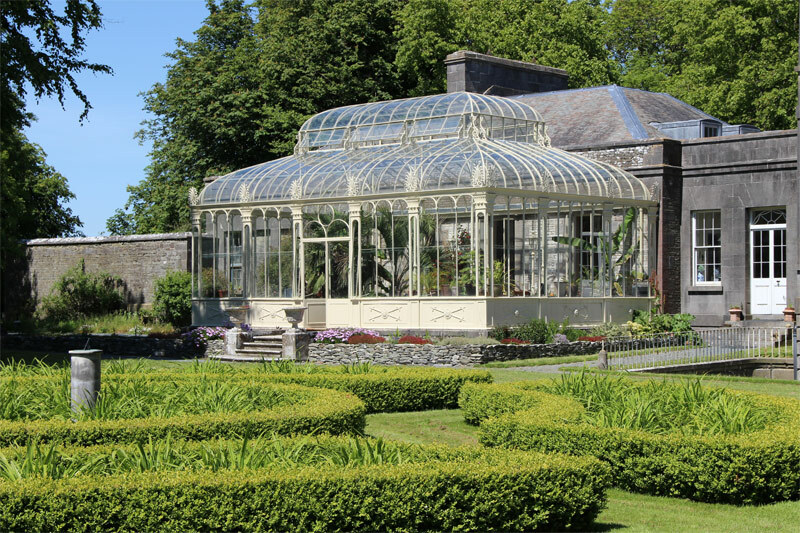 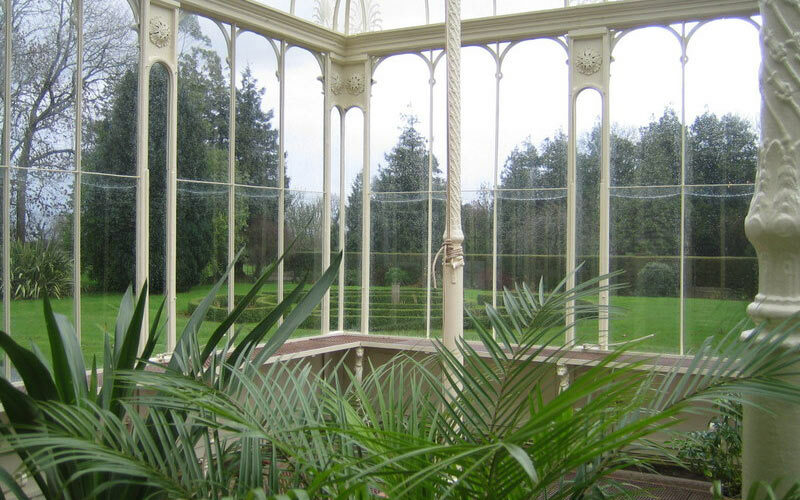 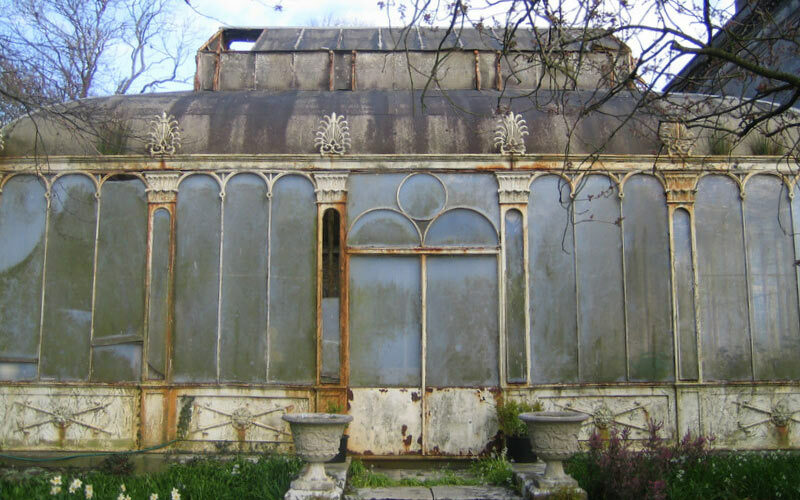 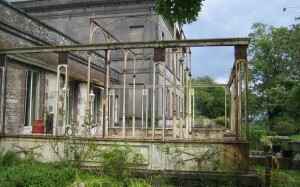 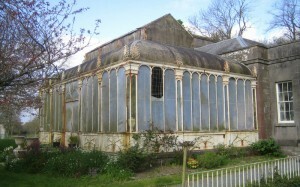 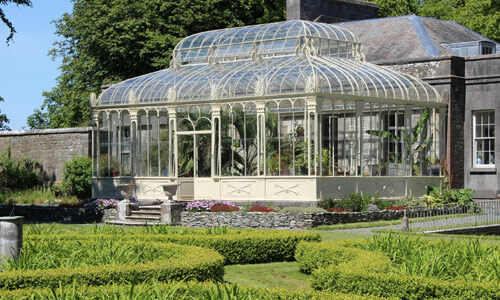 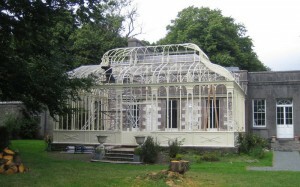 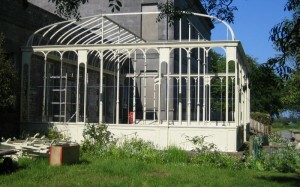 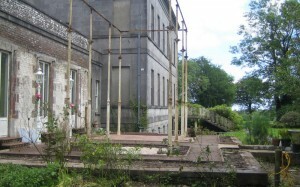 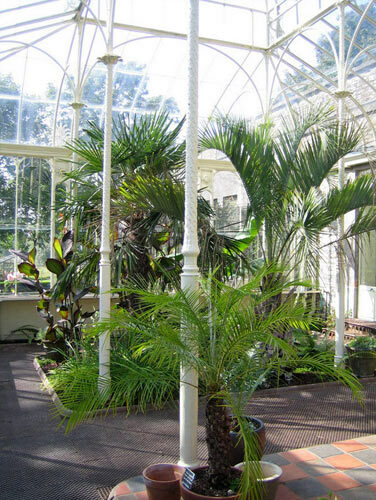 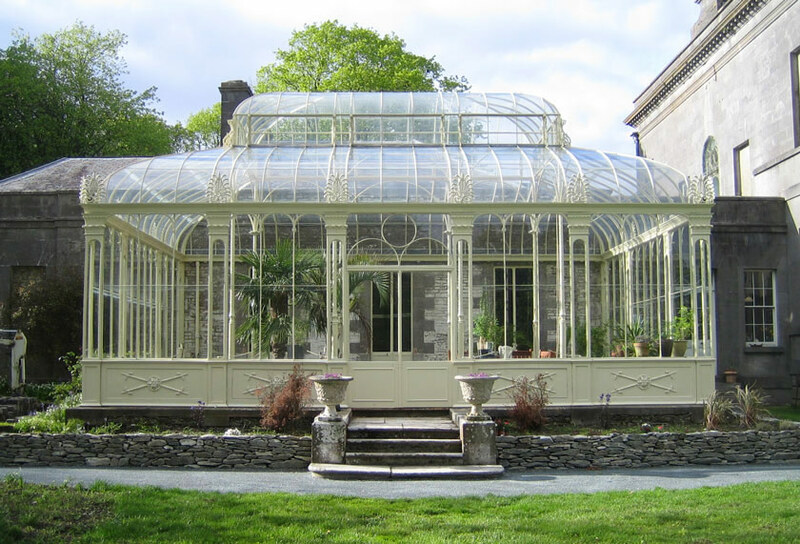 The Conservatory was then rebuilt onsite and restored to its original grandeur. We design and make bespoke staircases that reflects the style and essence of your home or business. 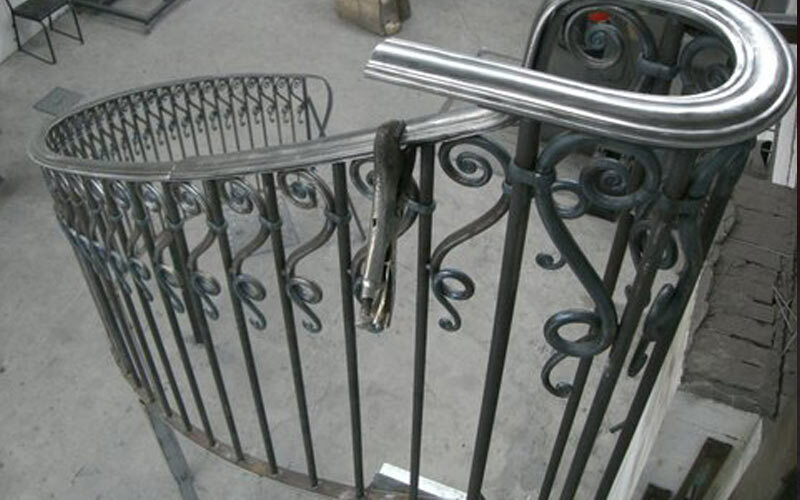 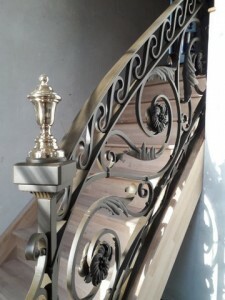 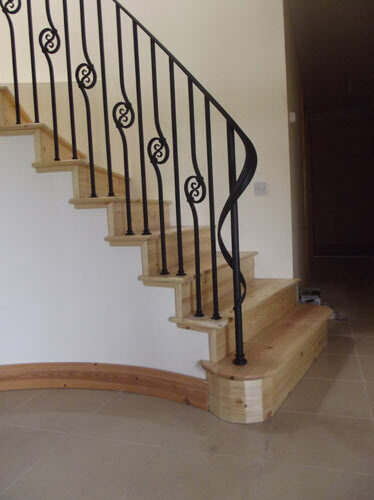 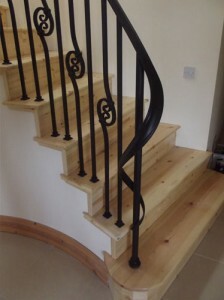 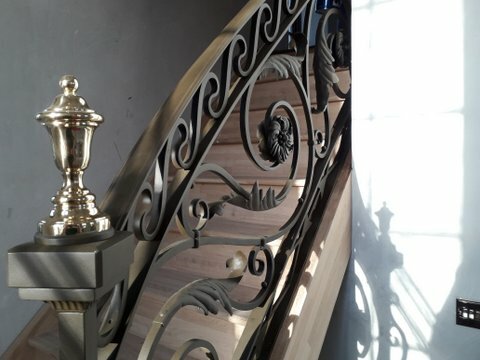 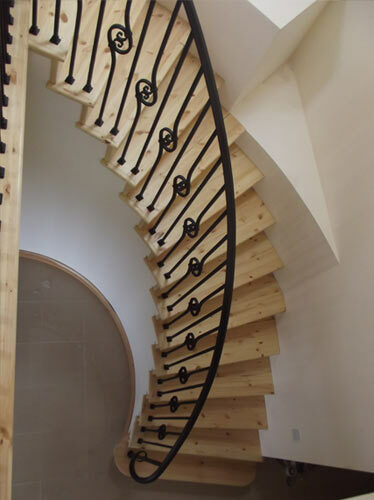 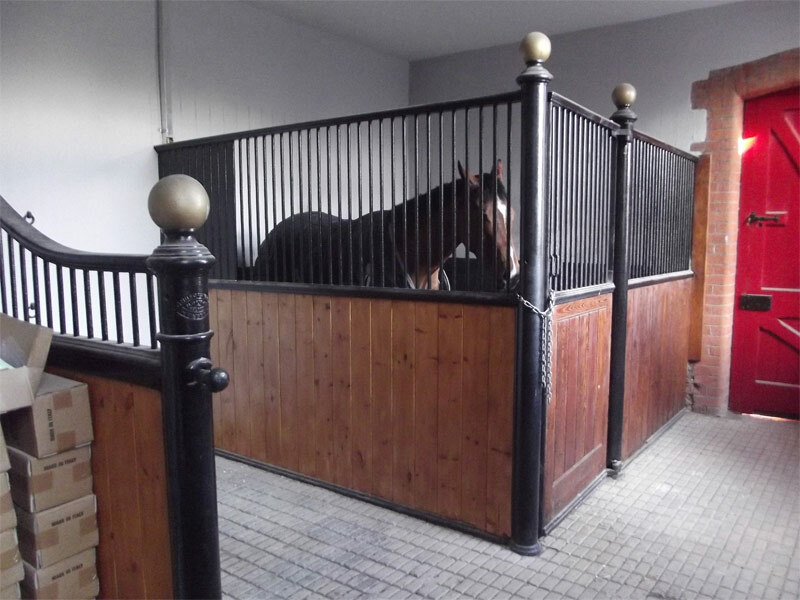 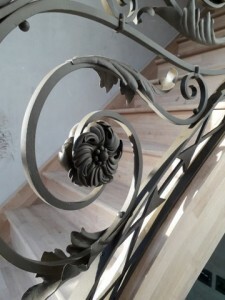 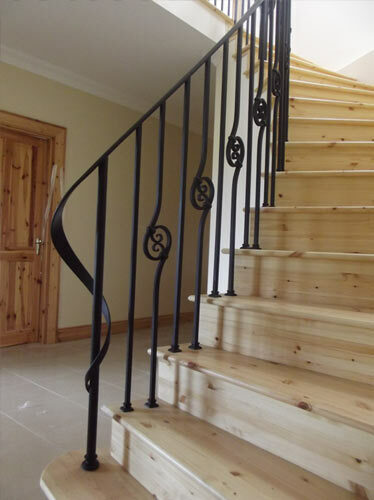 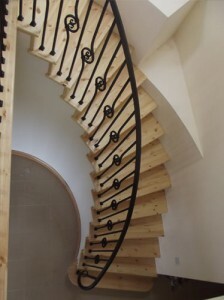 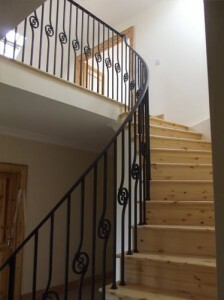 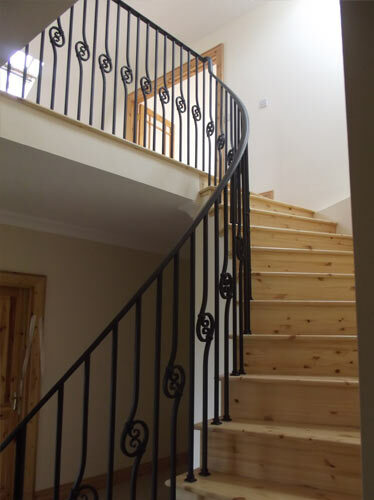 Hand forged railings and spiral staircases created for both inside and outside the home. An abstract depiction of a person fly fishing. 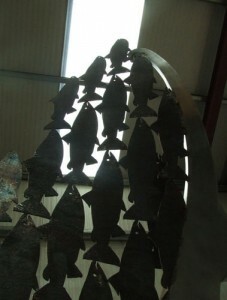 The sculpture celebrates the graceful art of fly fishing. 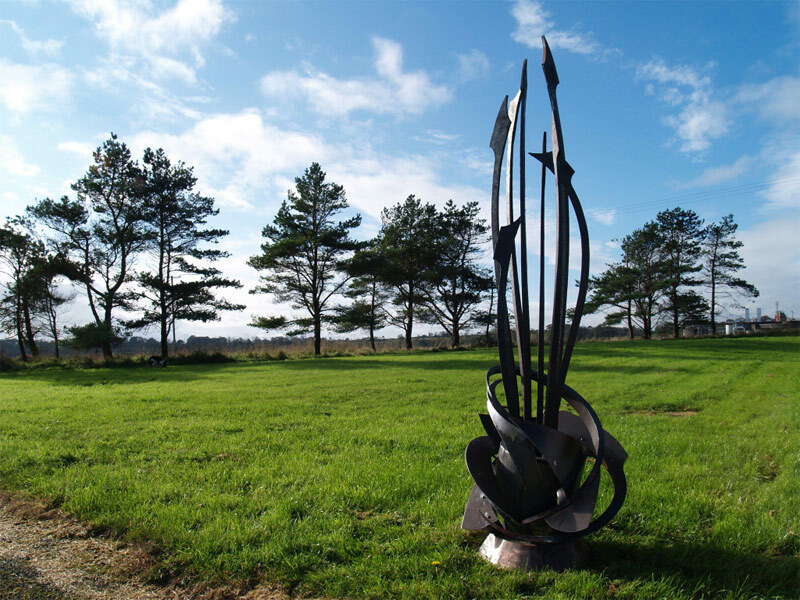 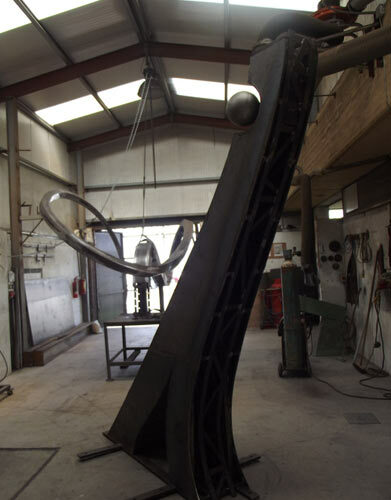 The sculpture stands 16ft tall and constantly and evenly tapers from its base to the tip. 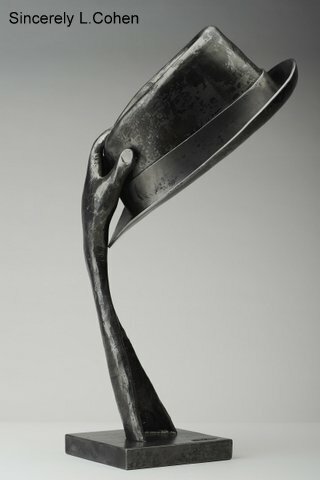 This gives the piece a sense of moment. 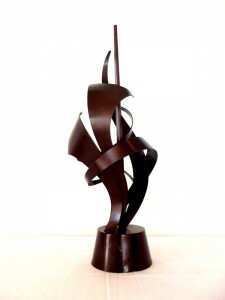 The even taper and graceful lines of the piece give it an elegant weightlessness . 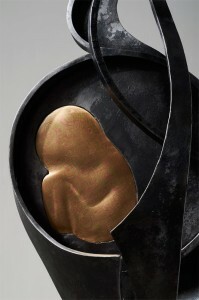 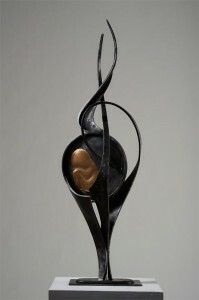 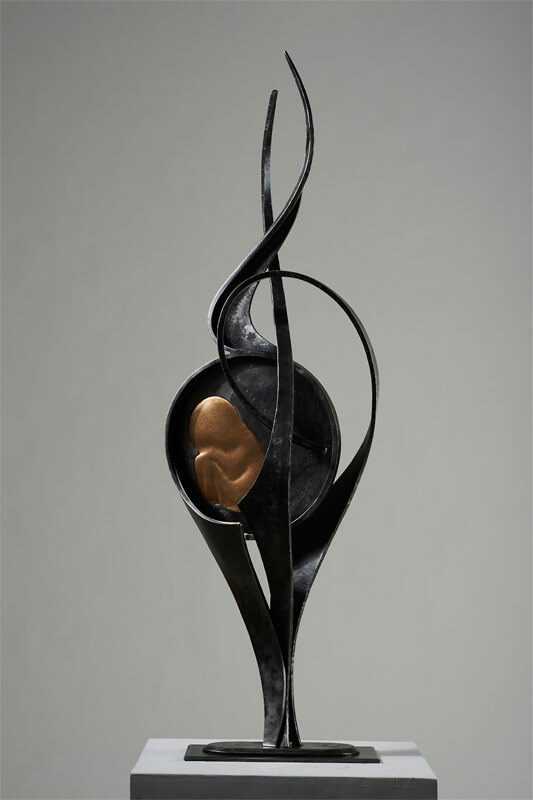 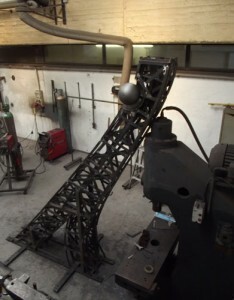 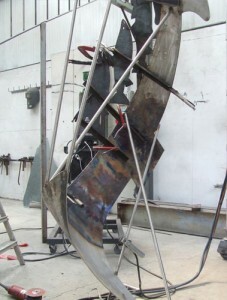 The sculpture has an internal structure that is needed for the stability and strength of the piece. 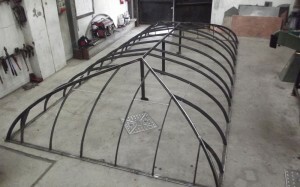 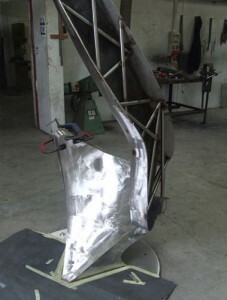 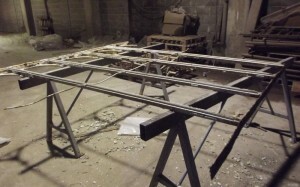 The internal frame is then covered with steel plate. 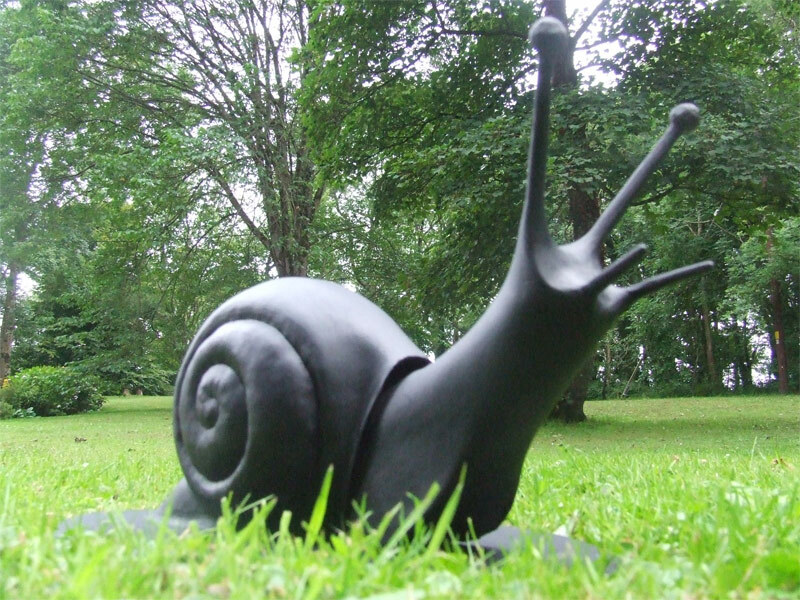 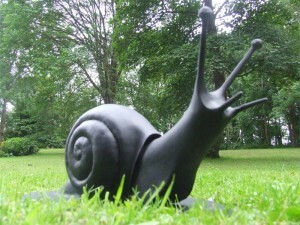 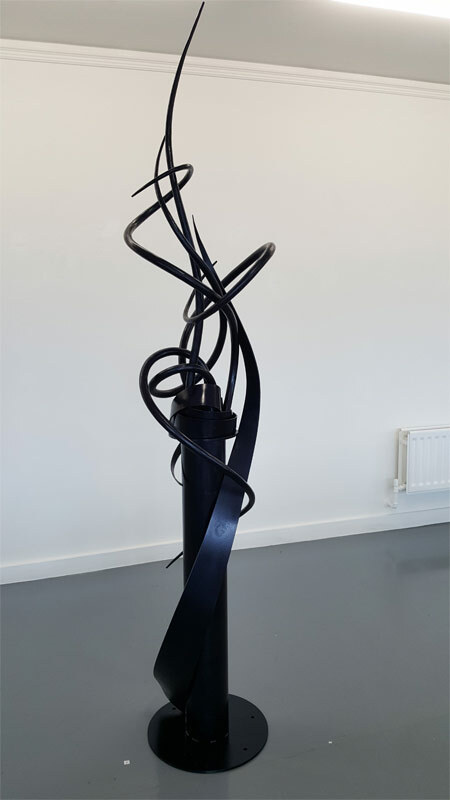 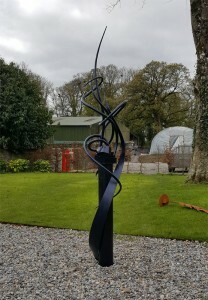 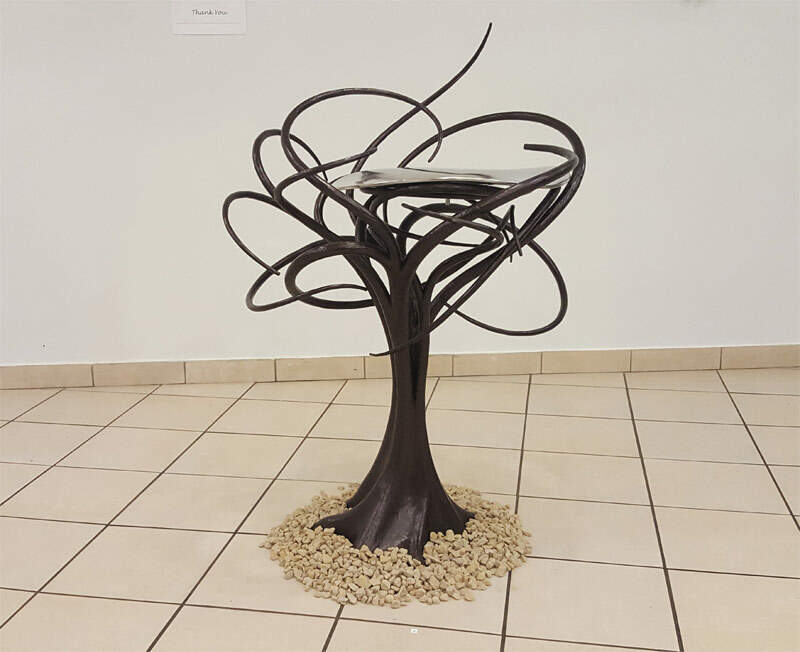 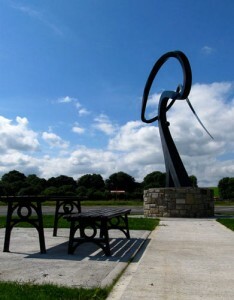 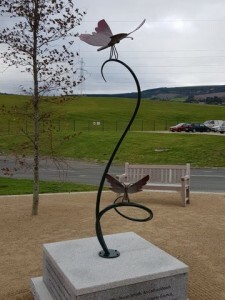 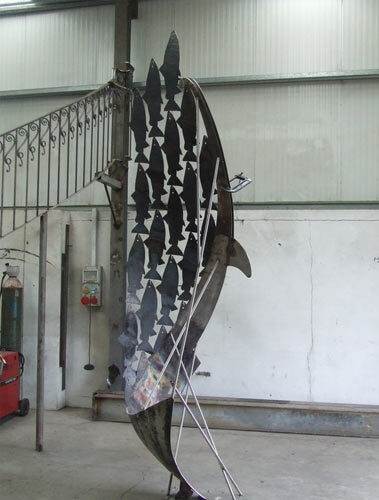 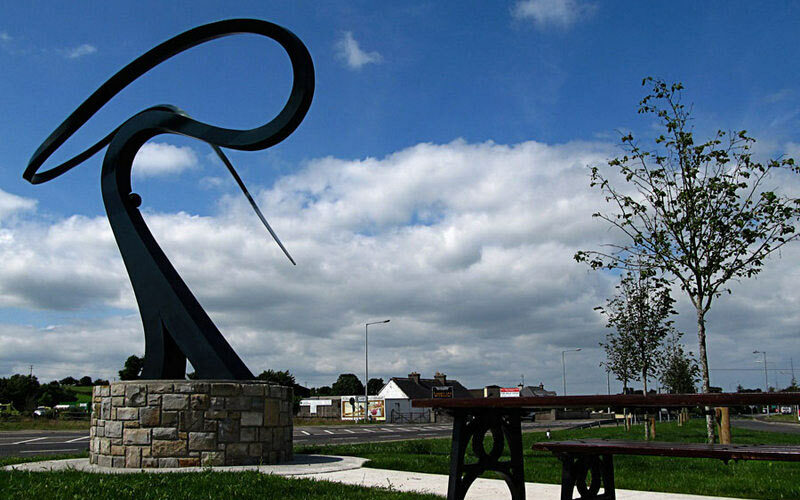 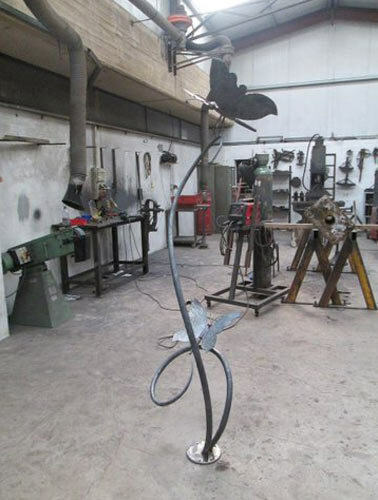 The sculpture is made from mild steel ,galvanised and painted. 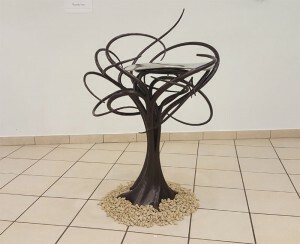 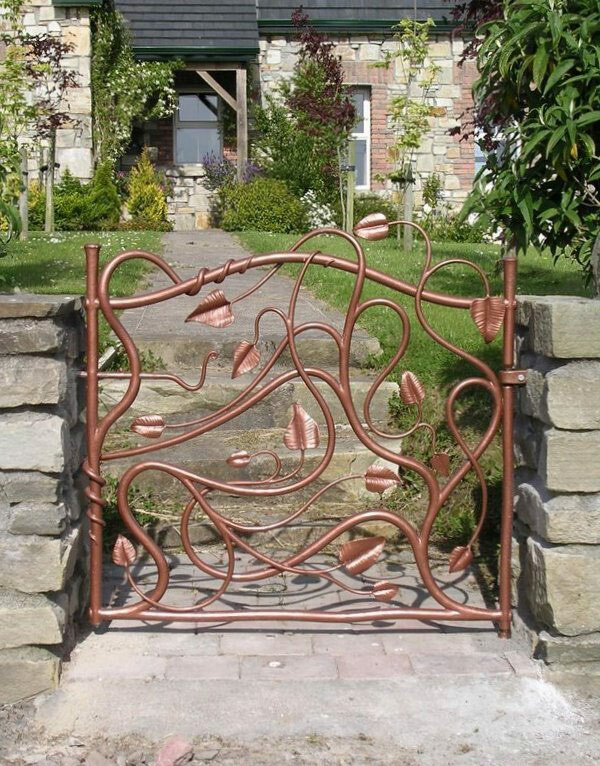 Ironwork for the garden, Unique forged pieces ranging from garden sculptures, bird baths, fire pits hanging basket holders, garden furniture and more. 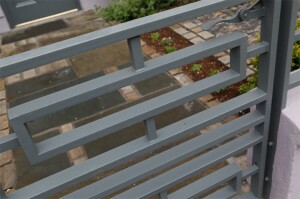 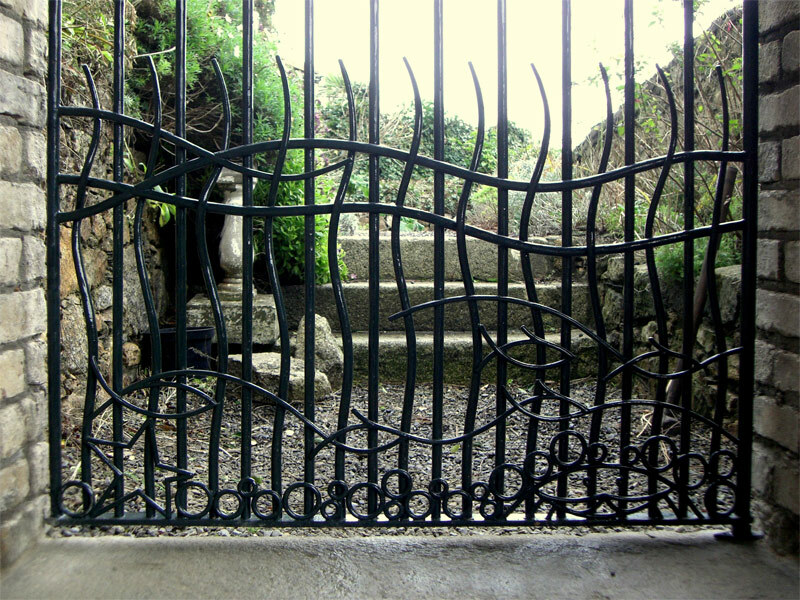 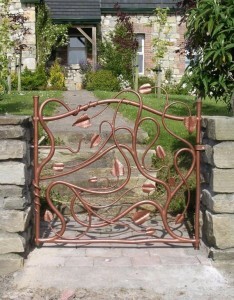 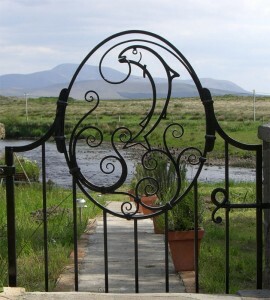 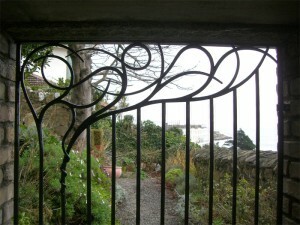 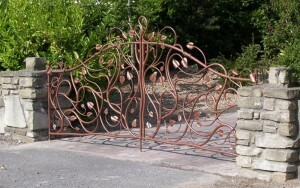 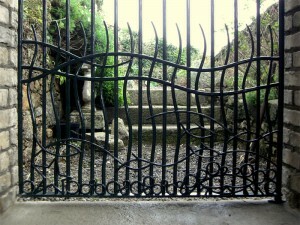 Bespoke ironwork to enhance your garden. 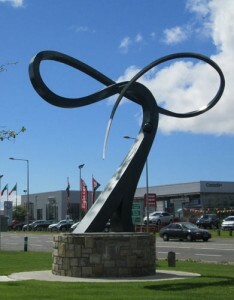 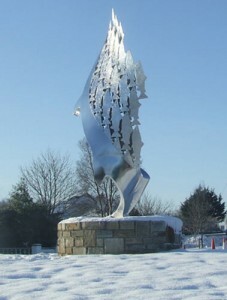 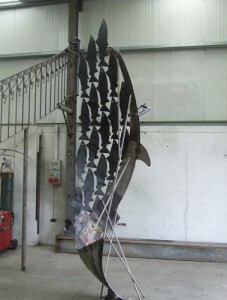 A contemporary sculpture depicting a leaping salmon. 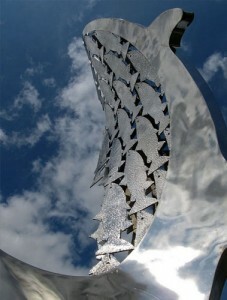 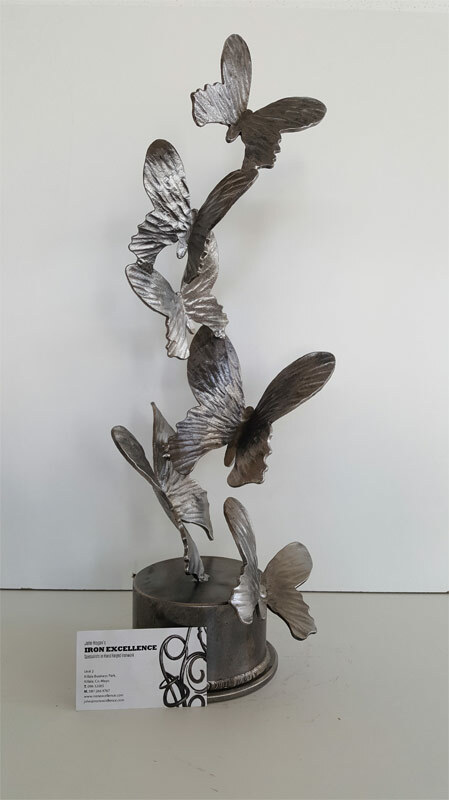 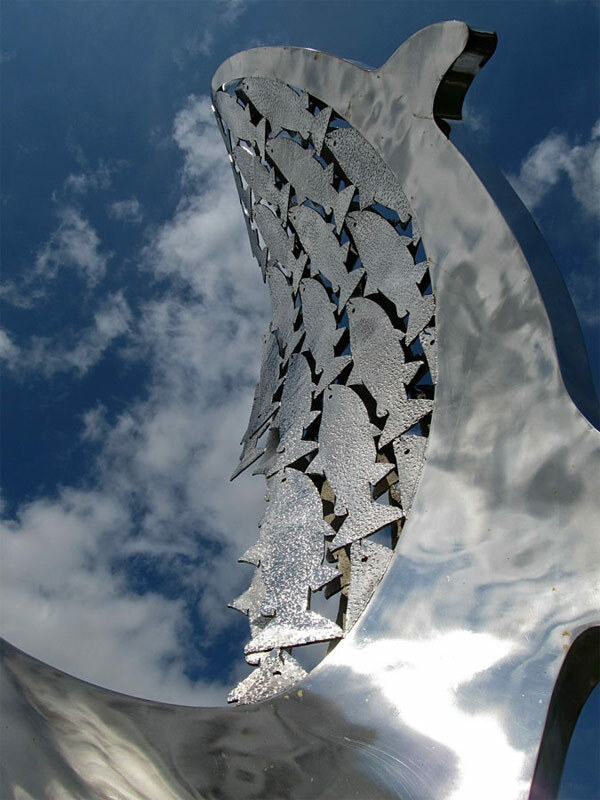 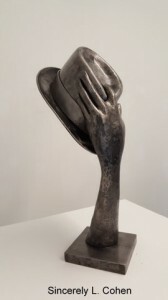 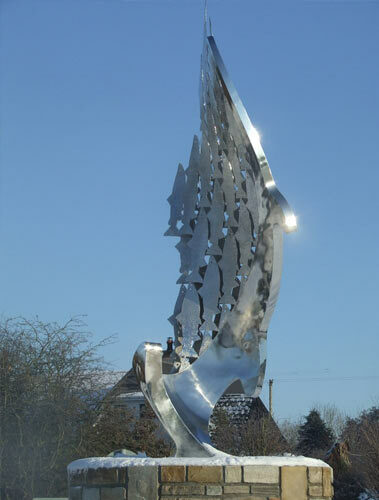 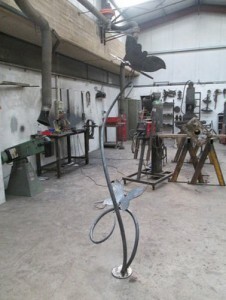 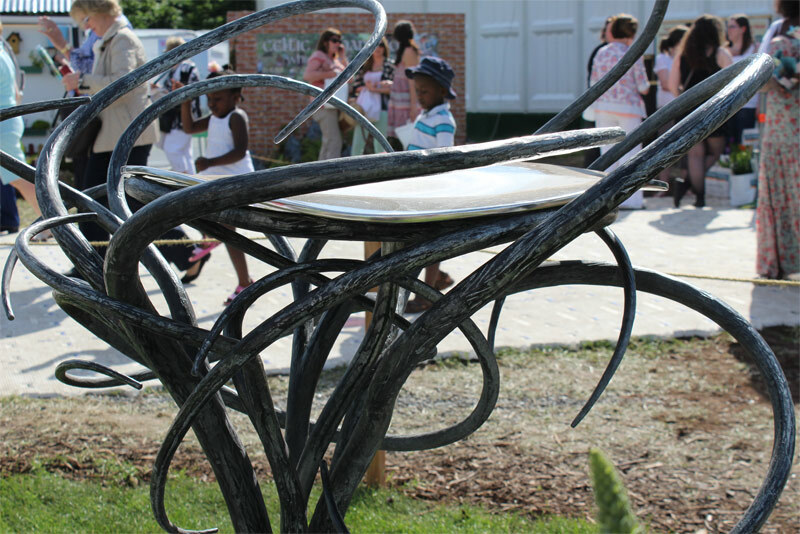 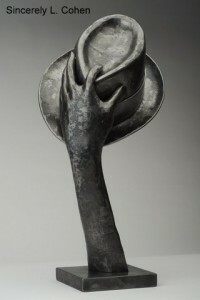 The sculpture is forged and fabricated from 316 stainless steel. 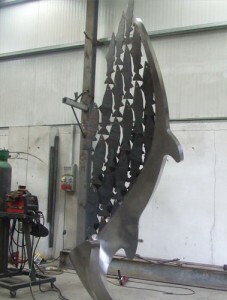 A proportion the shape of the salmon is made up of sheet stainless steel and forms the bottom outline of the salmon with a smooth polished finish. 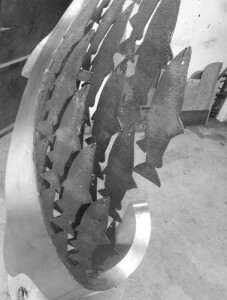 The rest of the salmon is made up of smaller salmon shaped pieces of stainless steel. 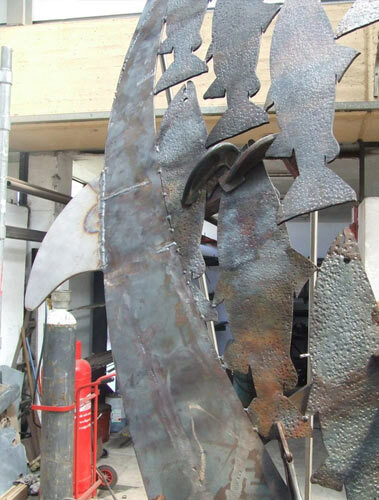 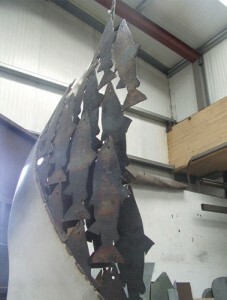 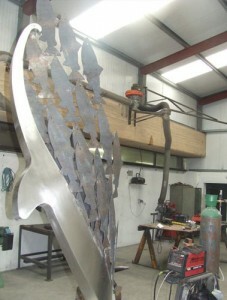 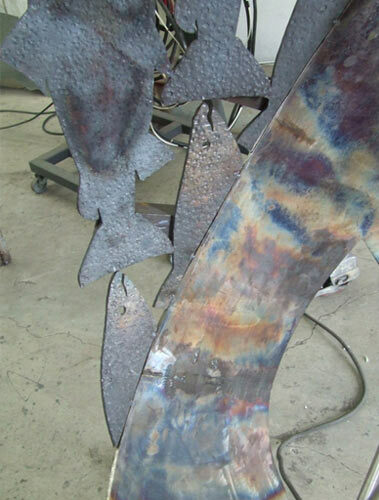 A texture is forged onto these elements and gives the sculpture the scaly effect of the salmon . These pieces are then formed to make up the remaining outline of the salmon. 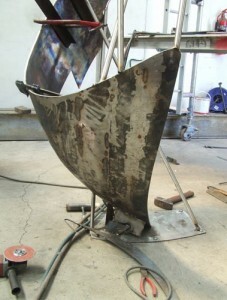 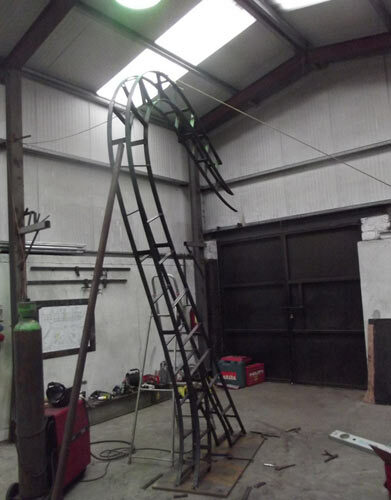 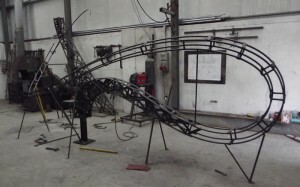 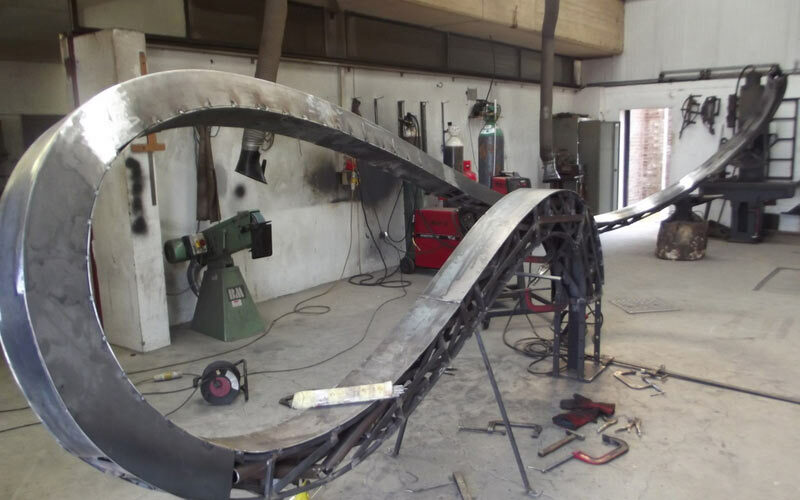 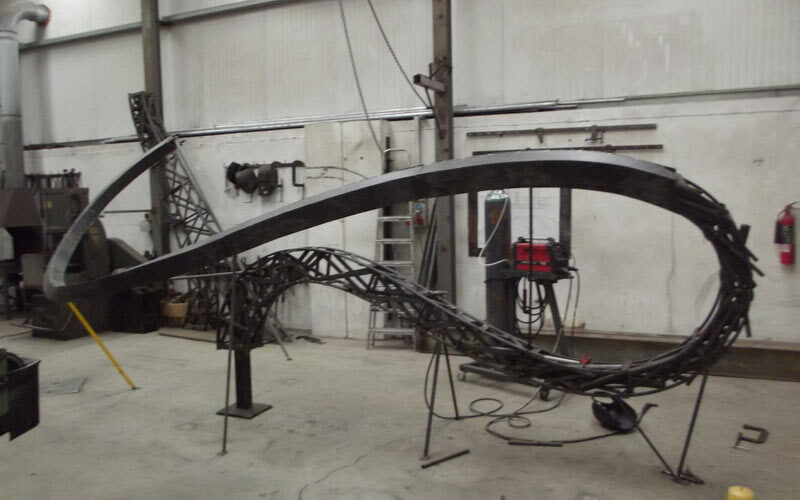 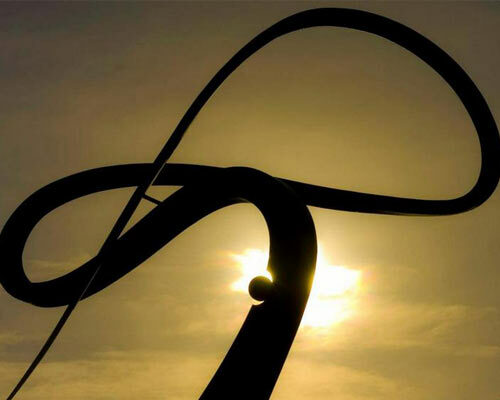 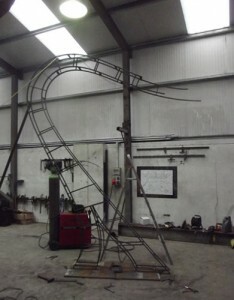 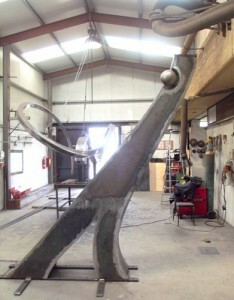 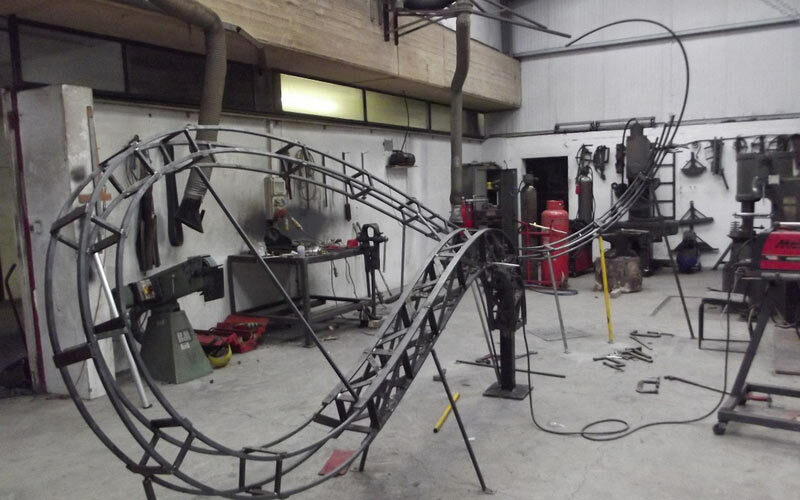 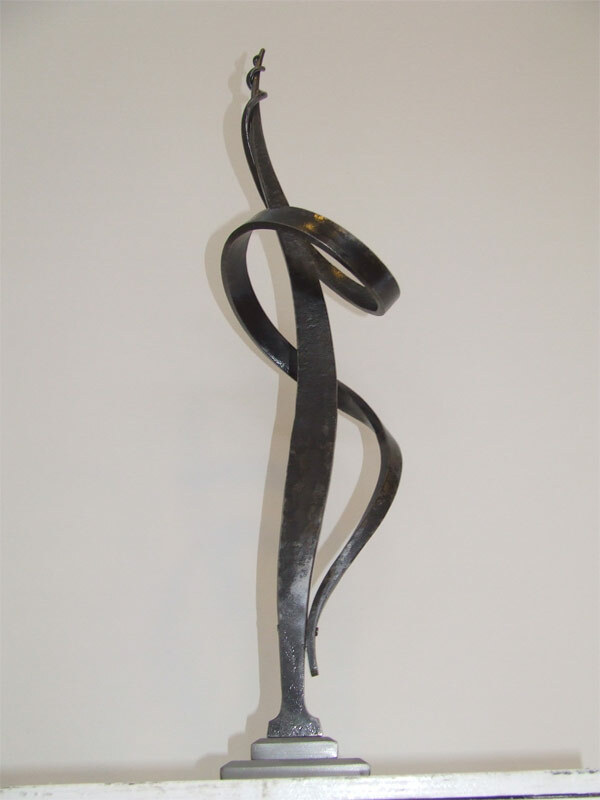 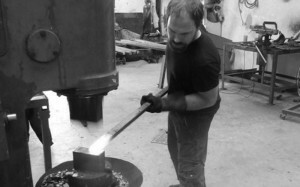 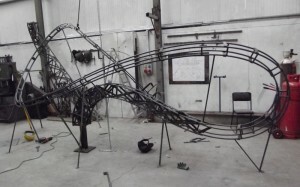 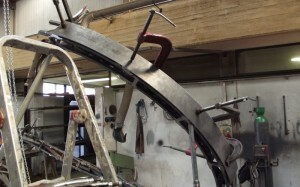 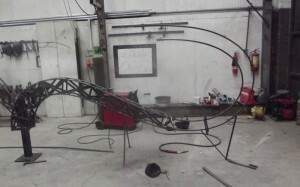 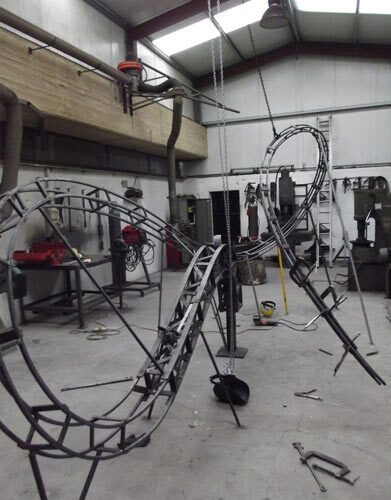 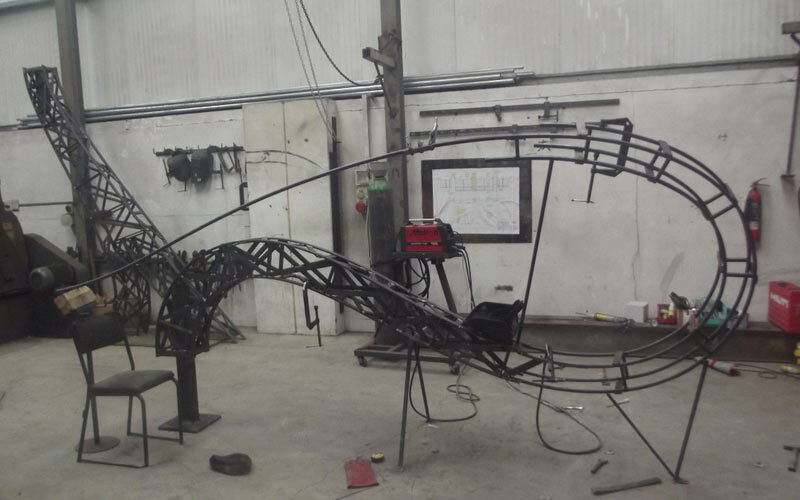 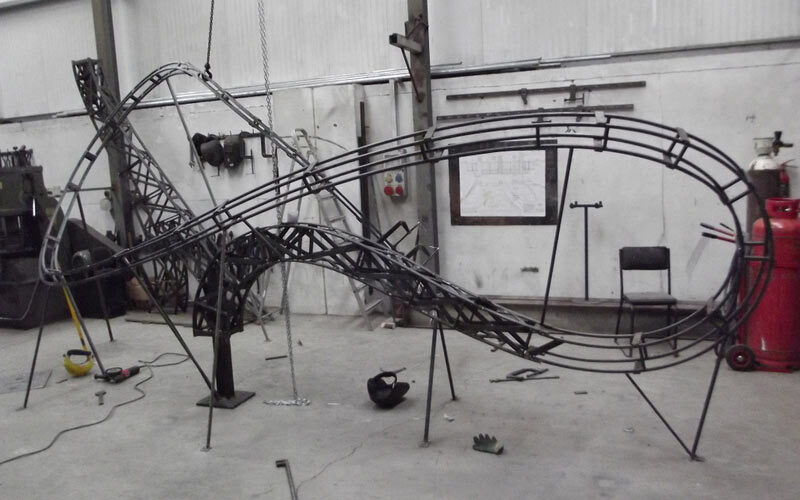 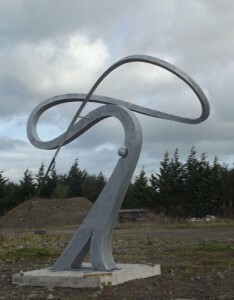 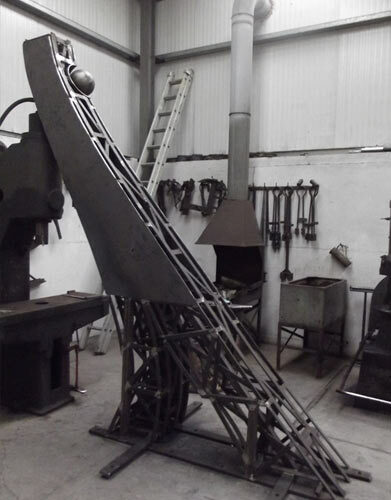 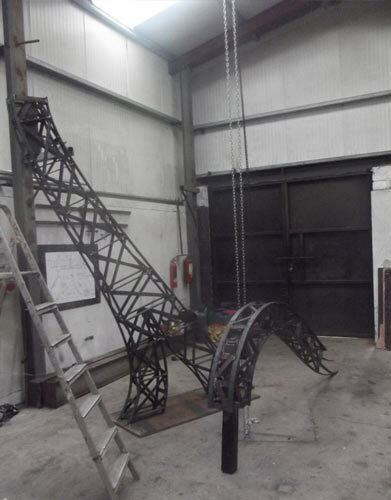 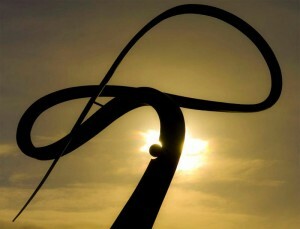 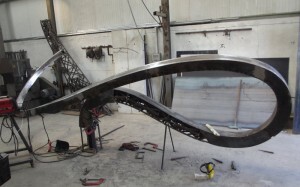 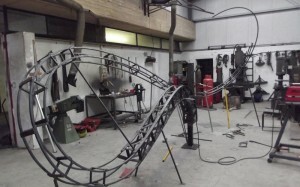 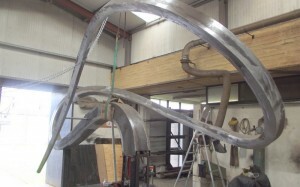 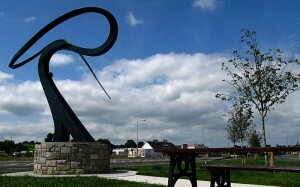 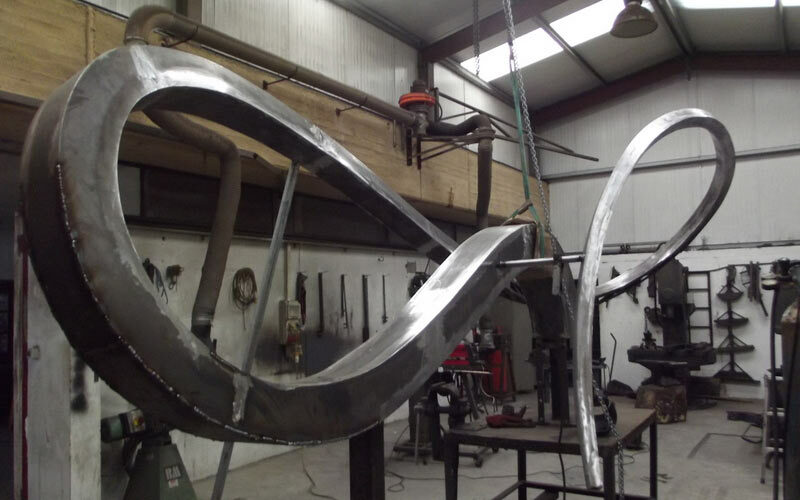 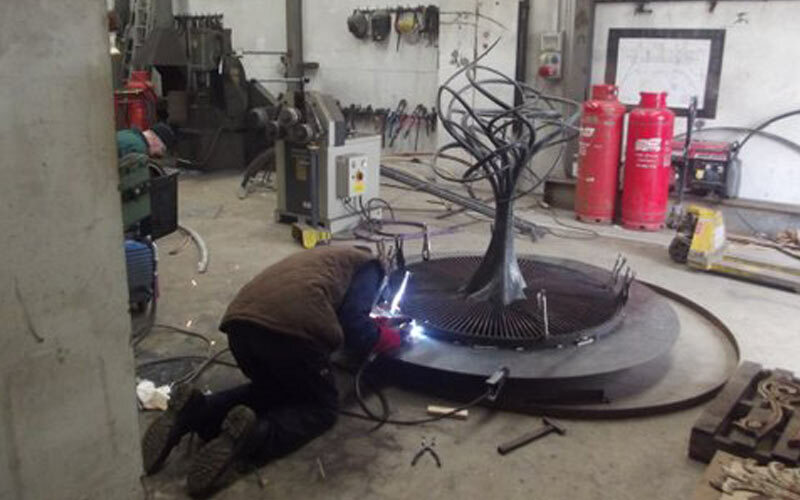 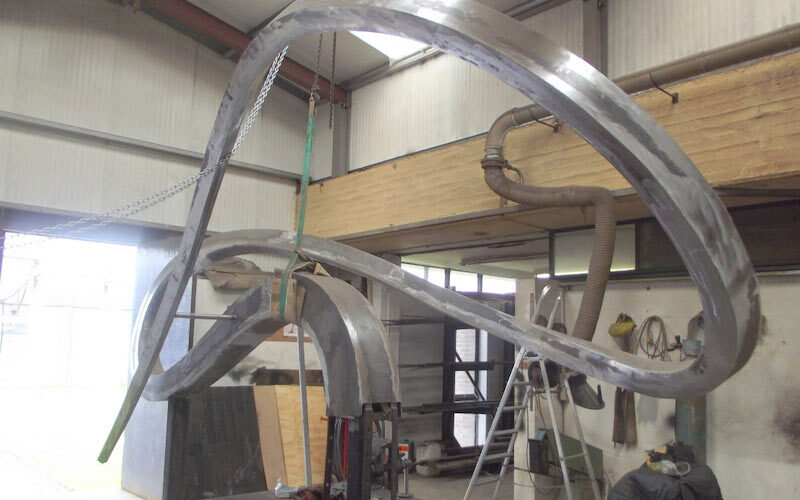 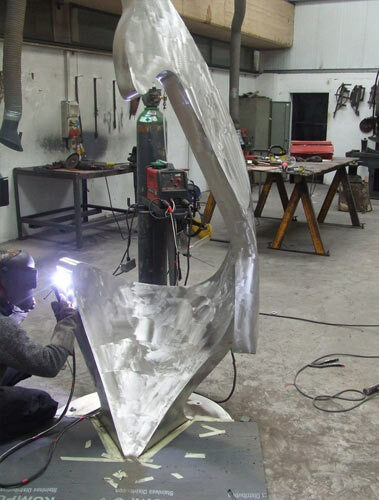 The curved shape of the sculpture aims to emulate the leaping salmon and is formed by heating and bending the steel. 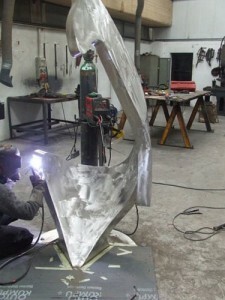 The stainless steel sculpture was electro – polished and sealed with a sealant. 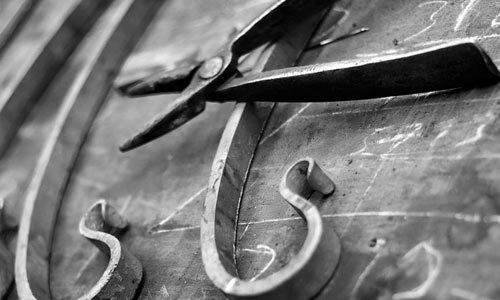 Creativity and imagination in both design and technique are at the centre of everything we do. 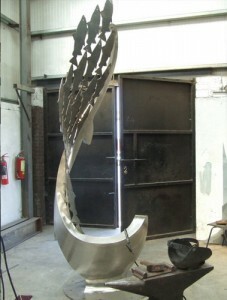 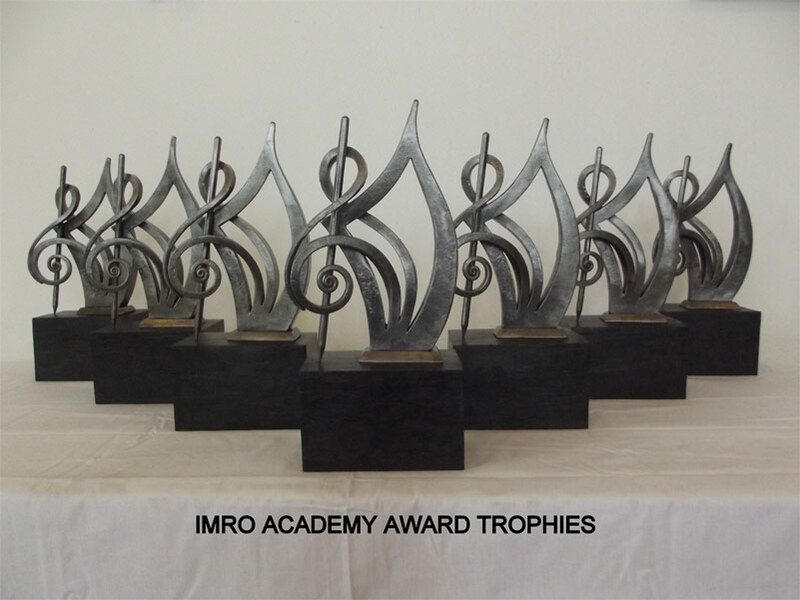 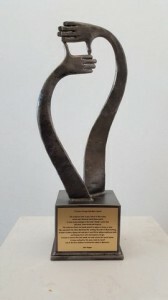 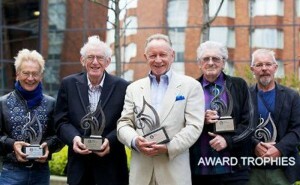 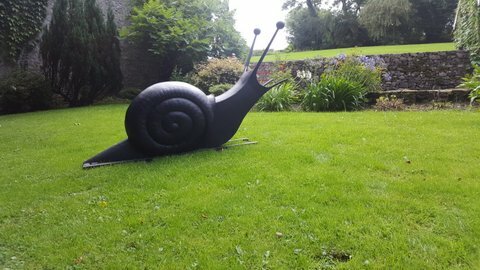 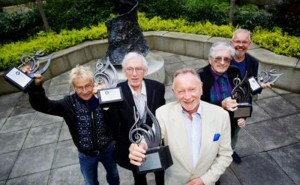 Over the years I have designed and created large public sculptures, garden sculptures, wall sculptures and award trophies . 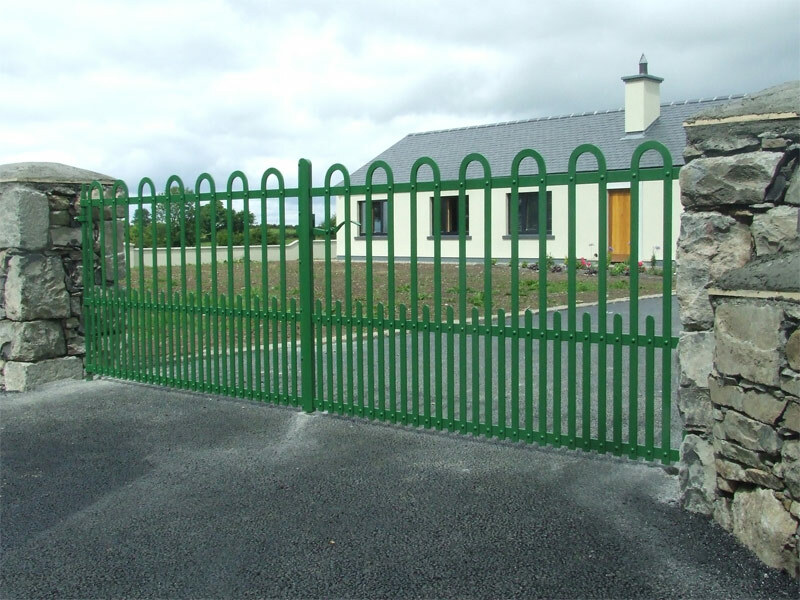 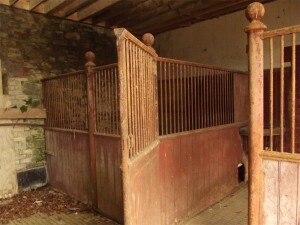 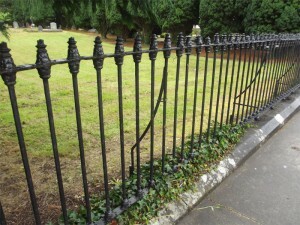 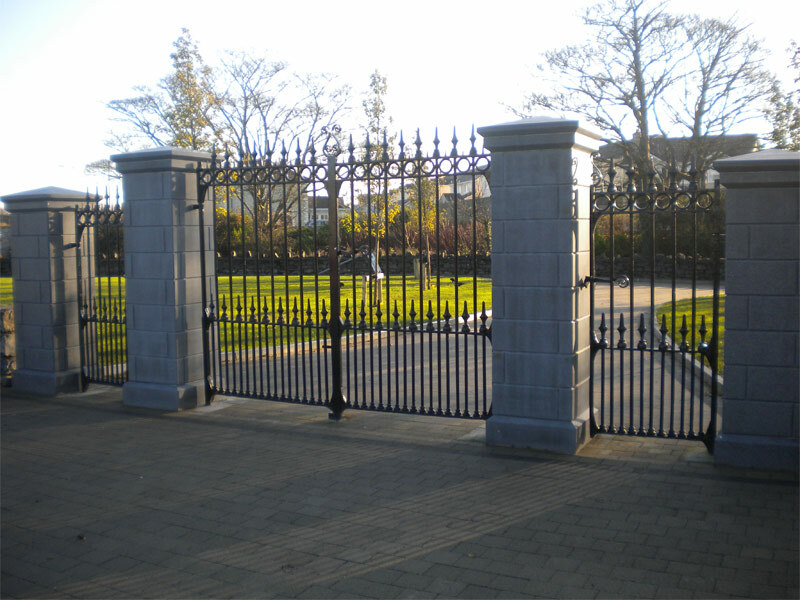 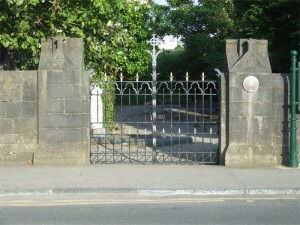 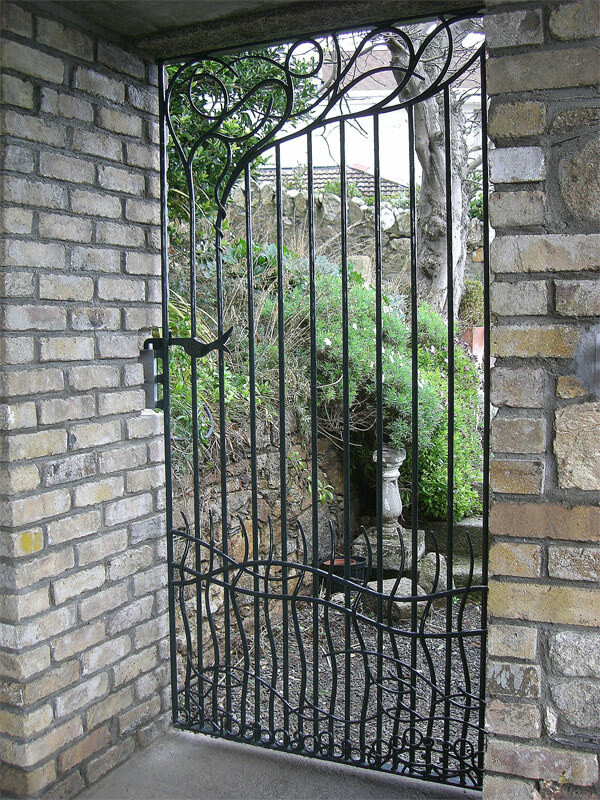 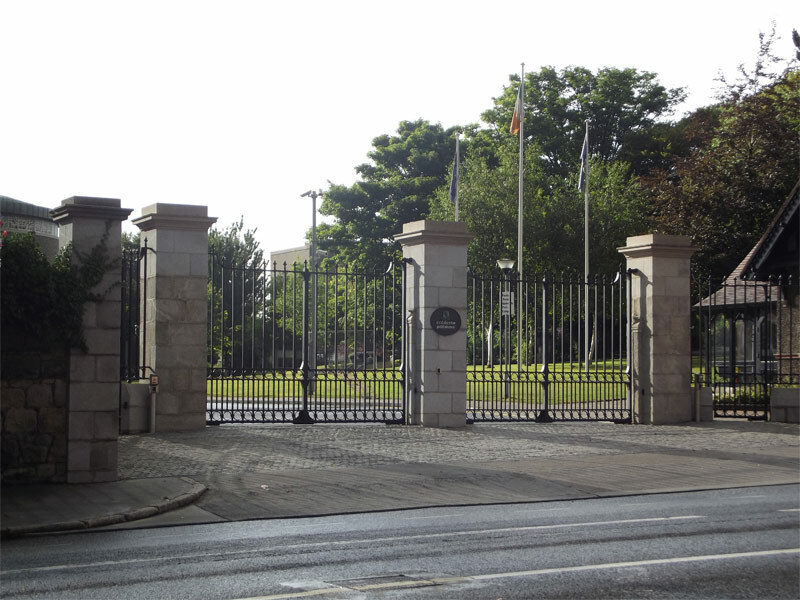 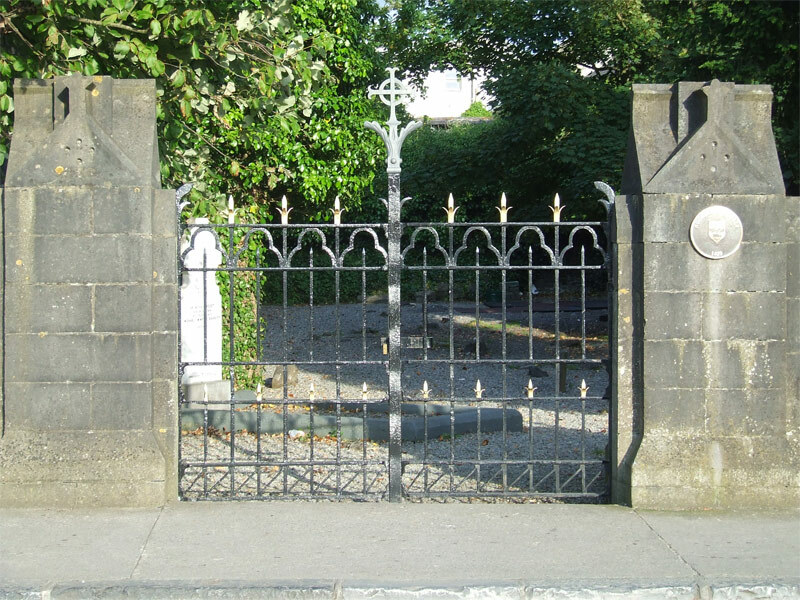 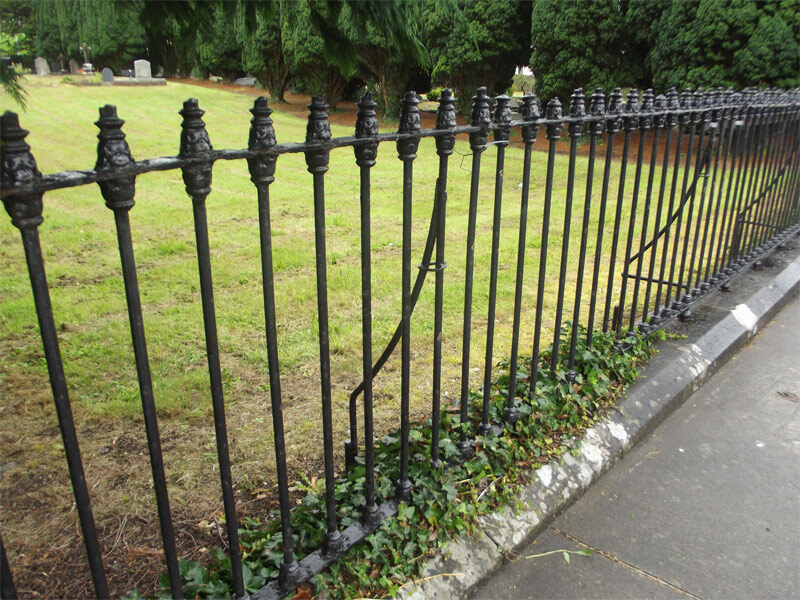 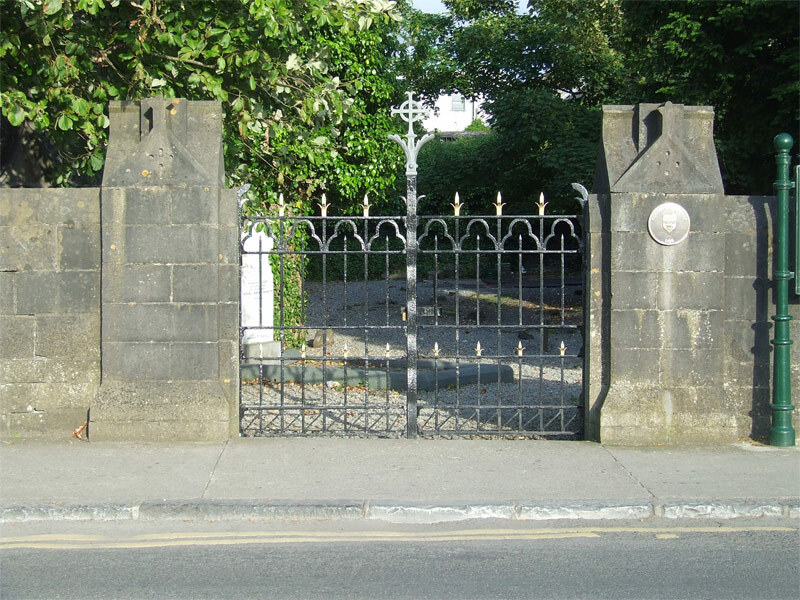 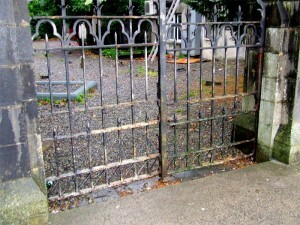 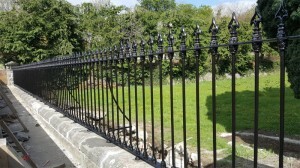 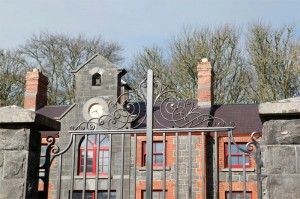 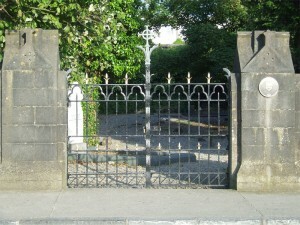 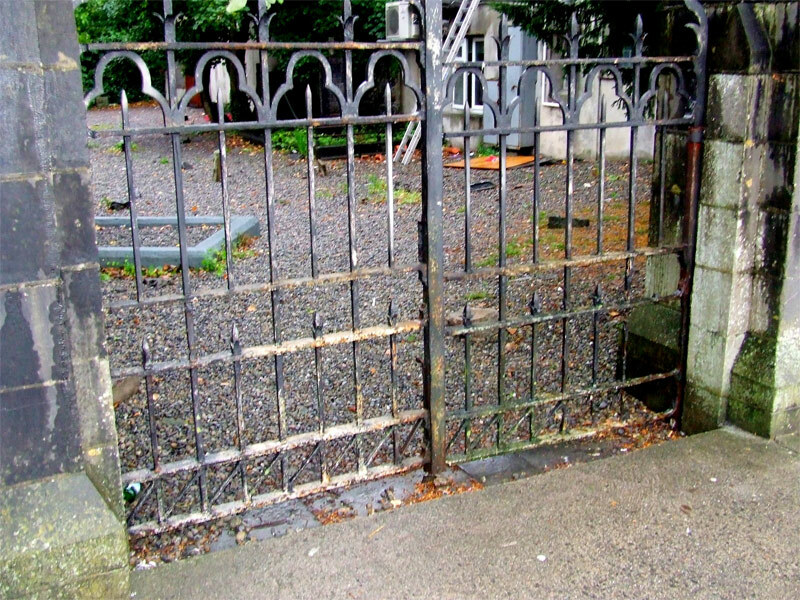 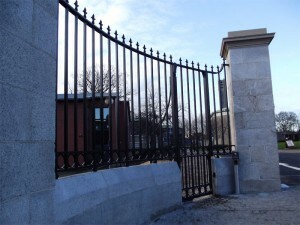 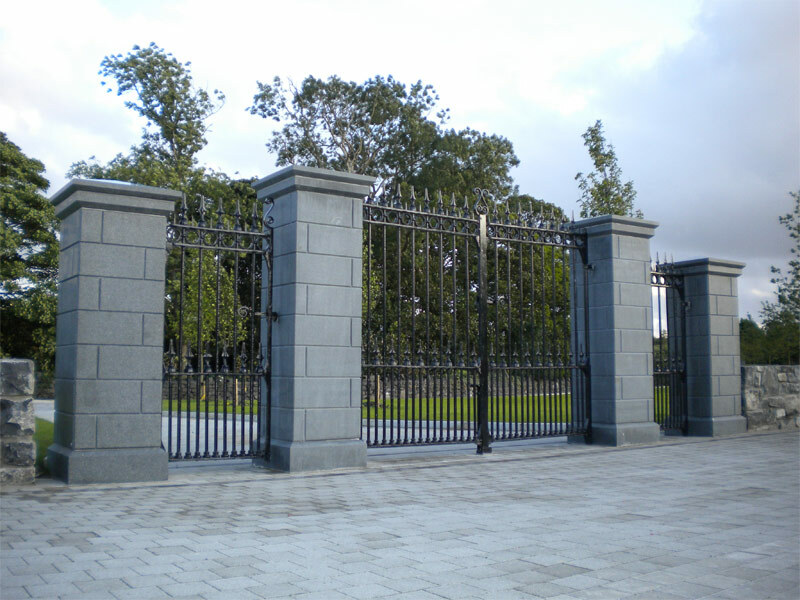 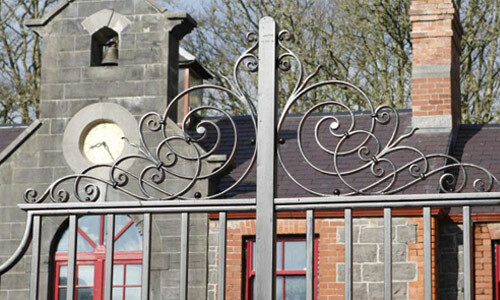 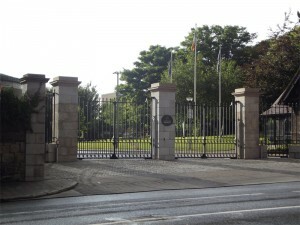 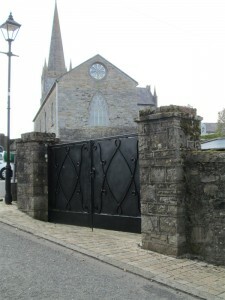 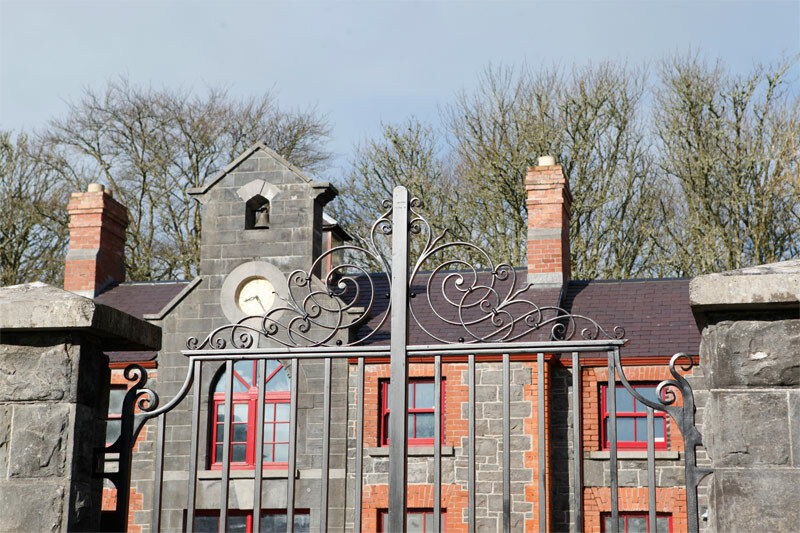 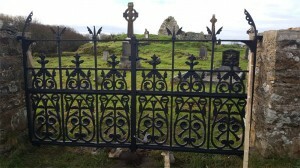 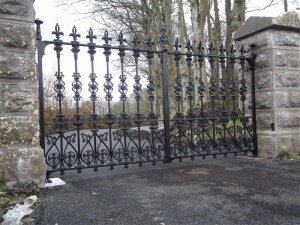 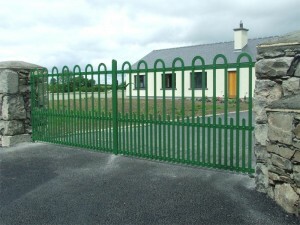 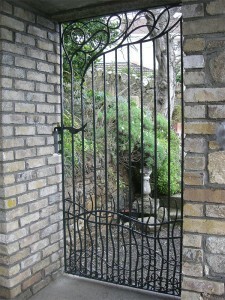 Ireland has a rich heritage of historic ironwork. 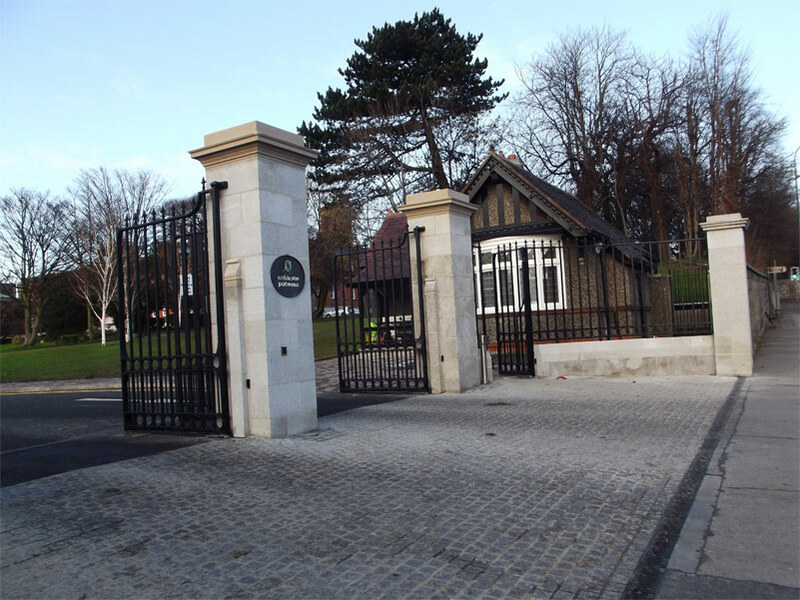 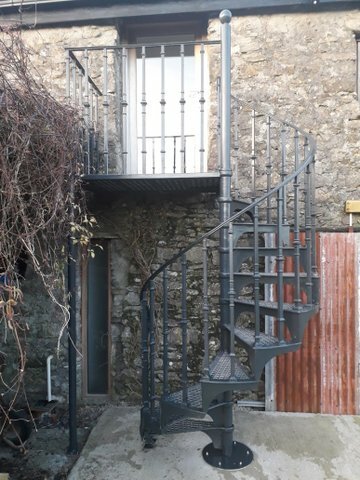 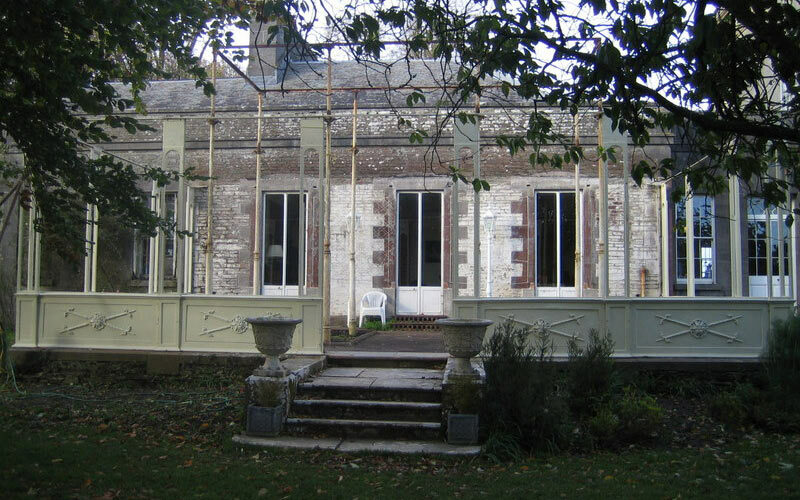 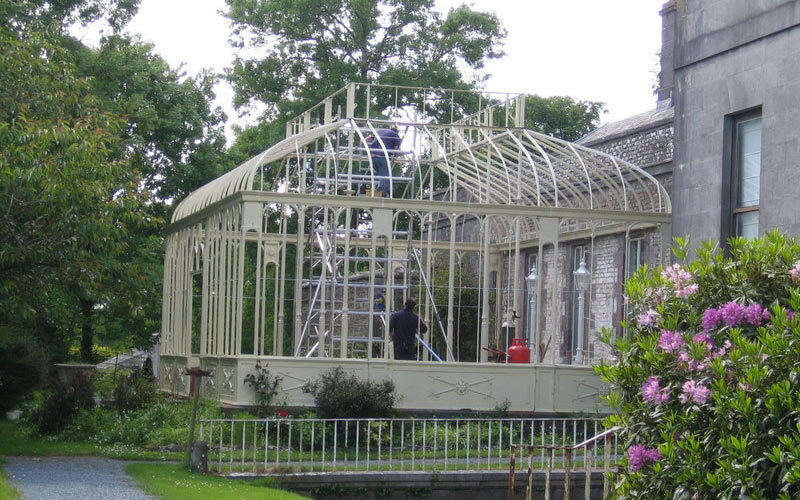 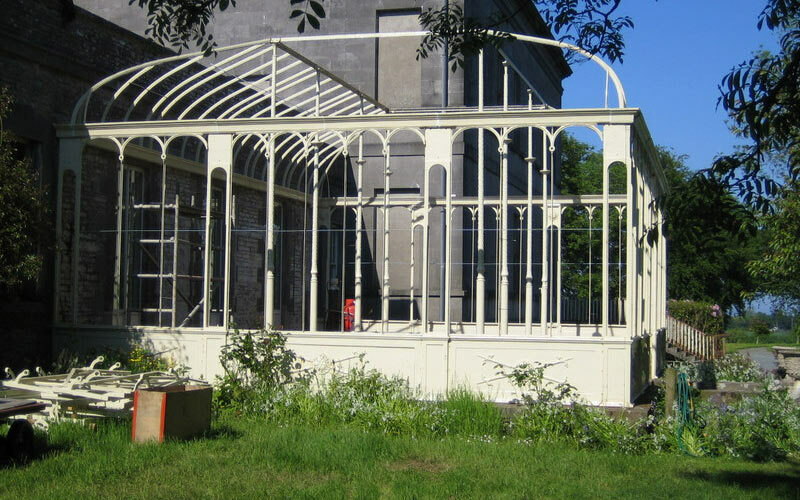 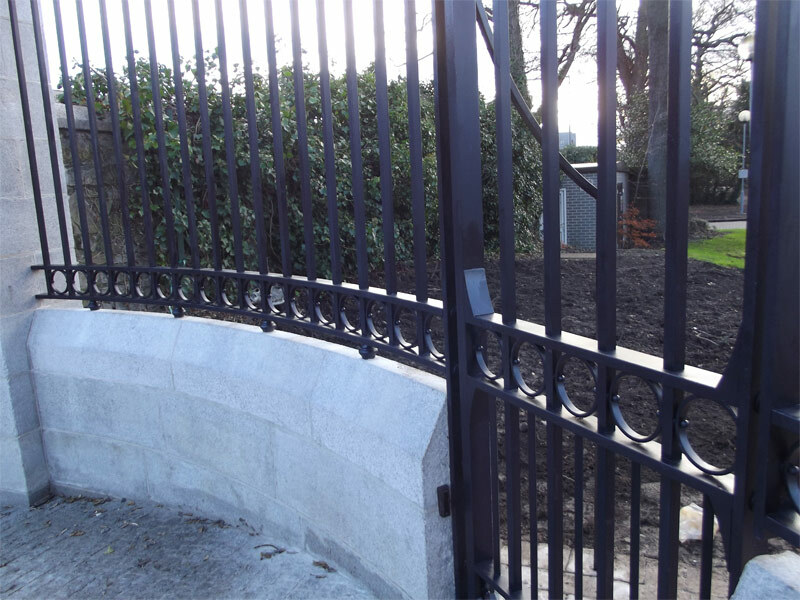 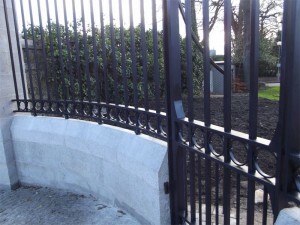 Over the years we have undertaken a number of restoration projects including a Turner conservatory, Spence staircase as well as many gates and railings. 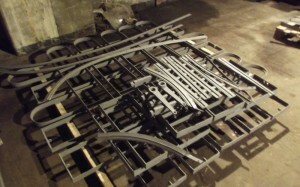 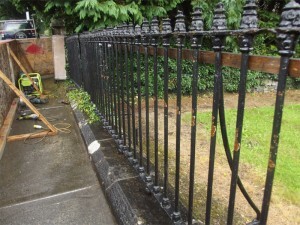 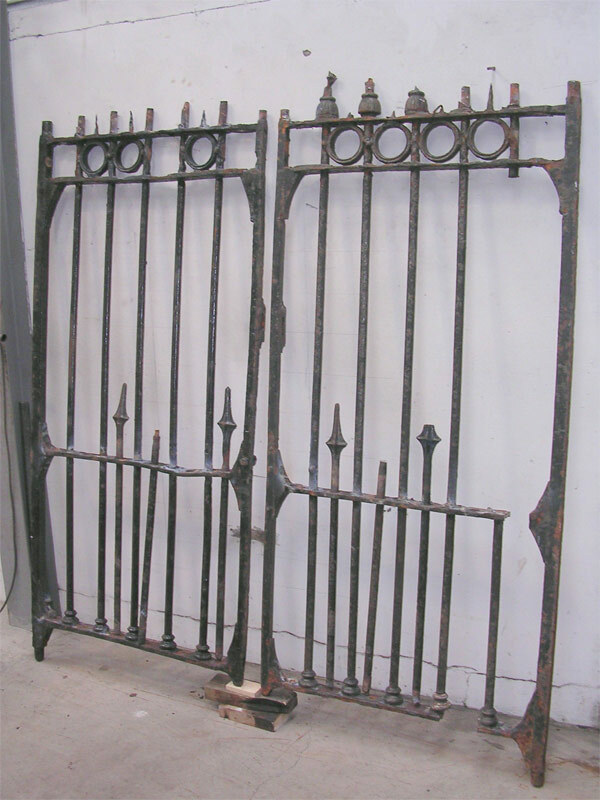 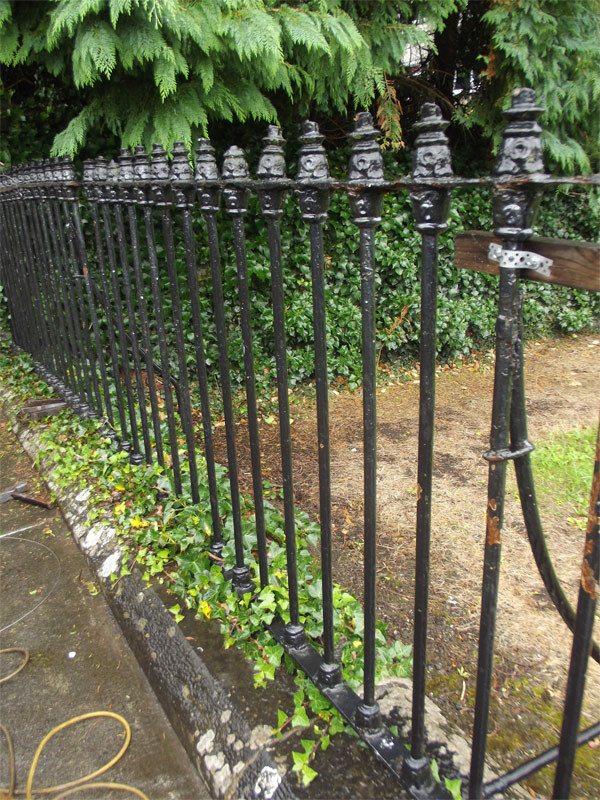 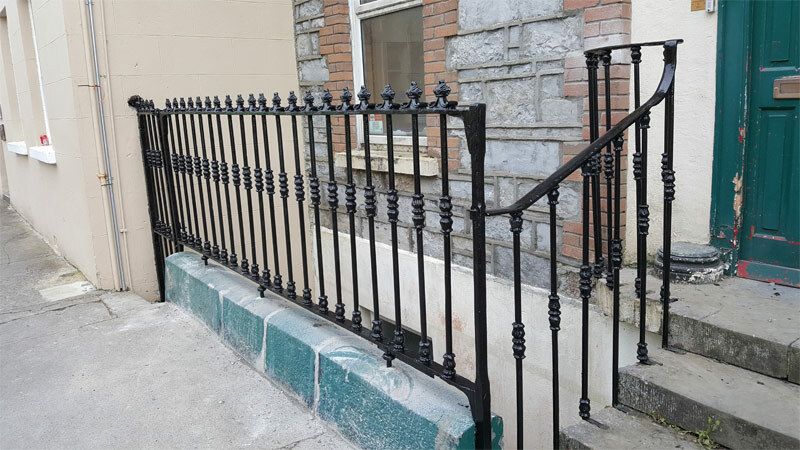 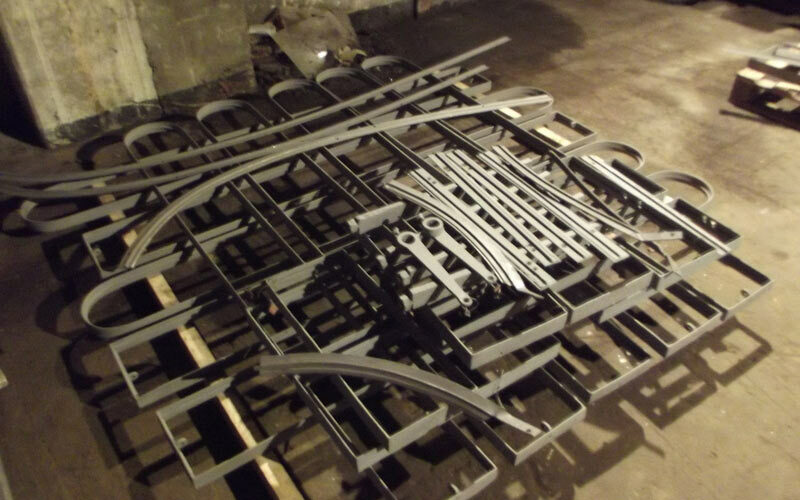 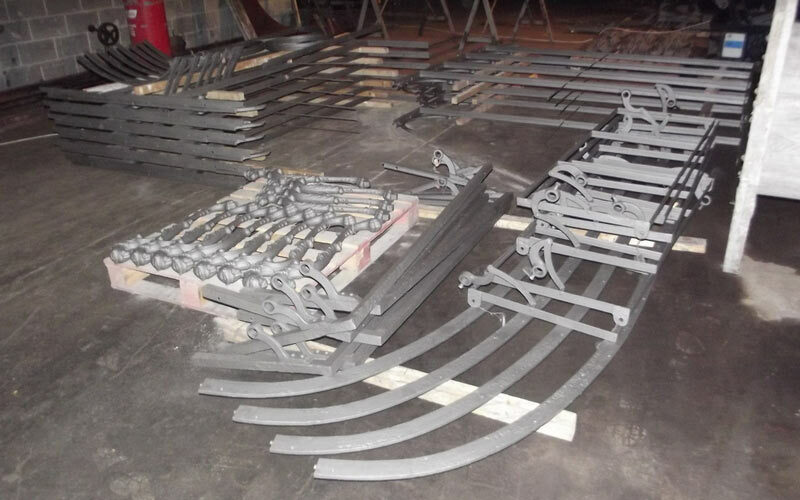 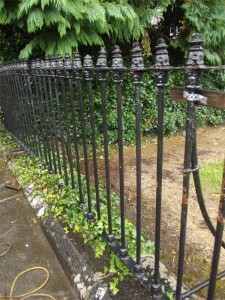 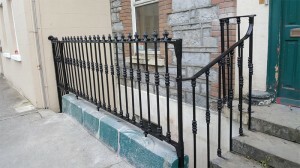 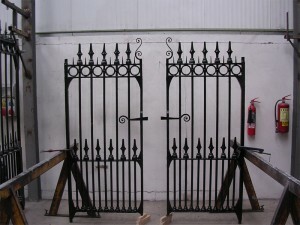 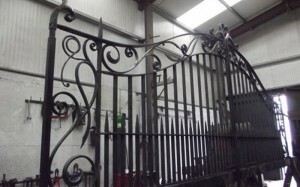 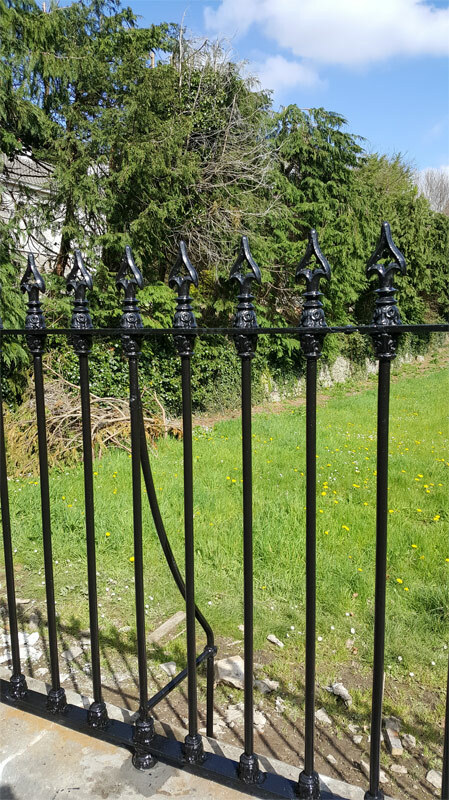 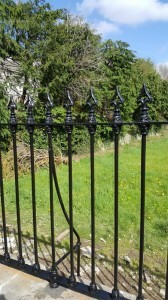 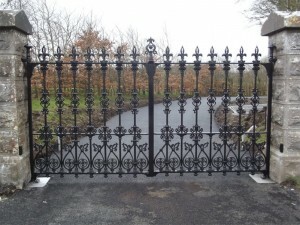 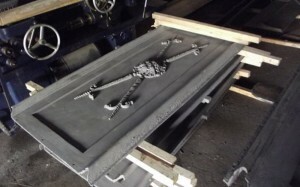 We restore both wrought iron and cast ironwork. 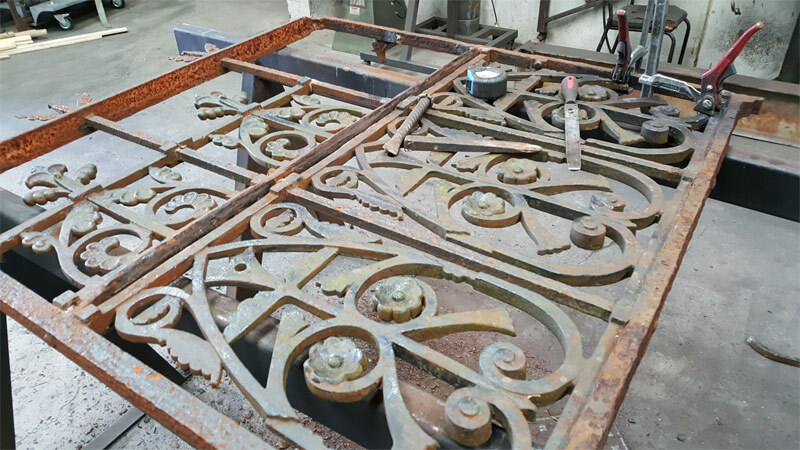 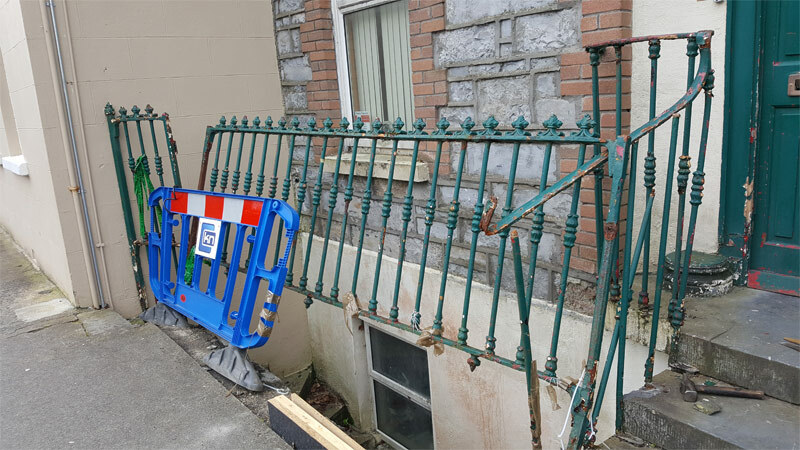 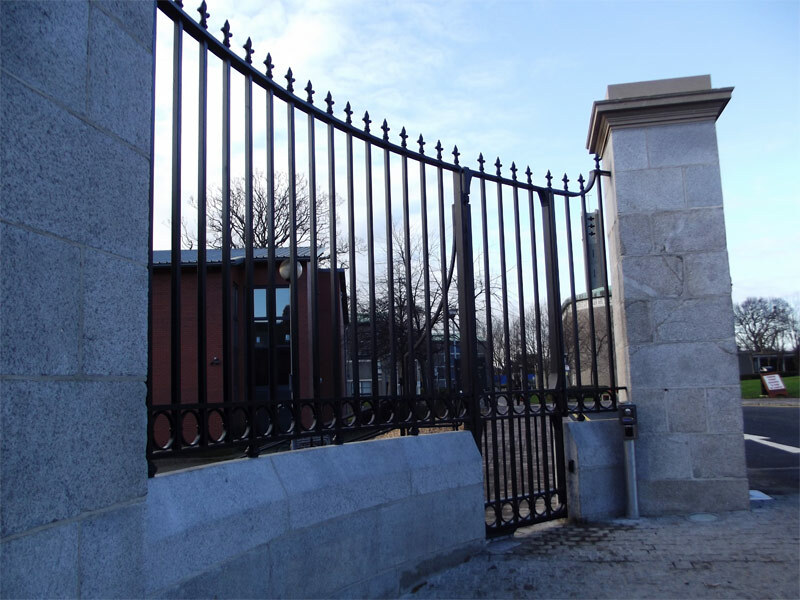 We use best practice in ironwork restoration, and working with conservation officers, architects, heritage groups and private clients, we restore and conserve this historic ironwork.